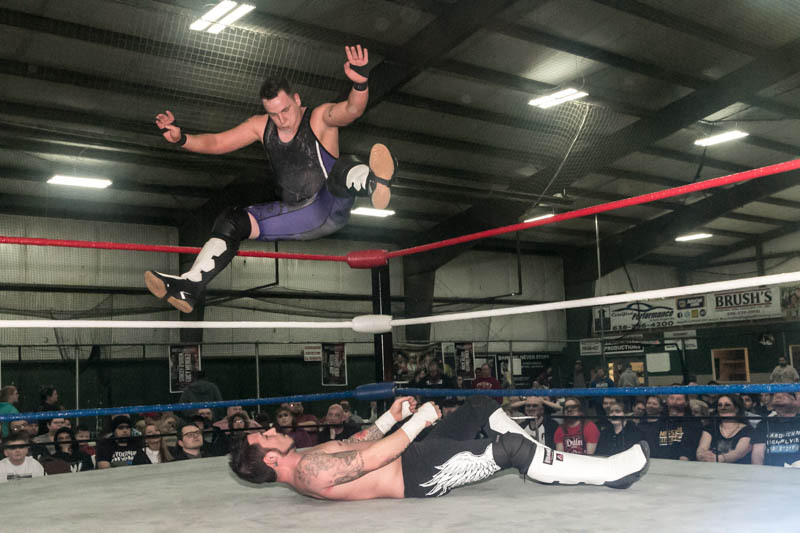 MMWA-SICW kicked off its year in East Carondelet, IL with a night of unique match ups, with The Connection trying to control assert their dominance yet again and champions fighting for everything to retain their titles. 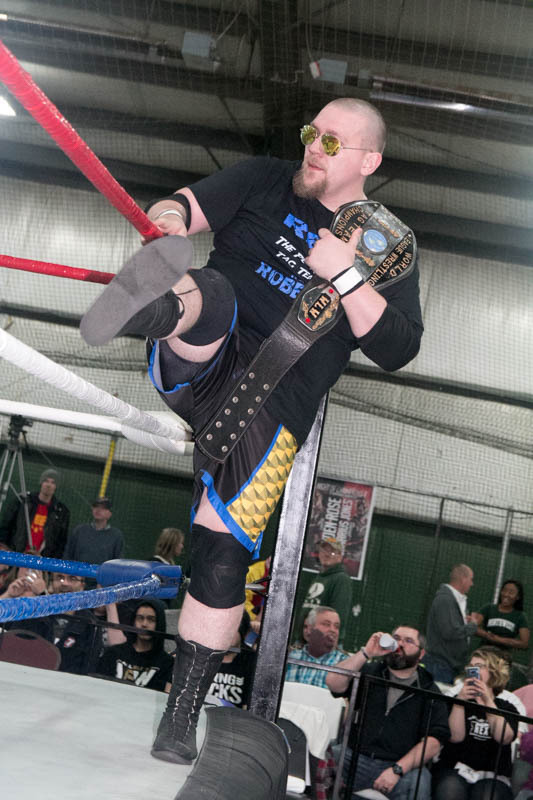 “Night Train” Gary Jackson took fans on an impressive ride during his main event battle with Connection Member Phil E. Blunt with Jackson’s Heavyweight title on the line. 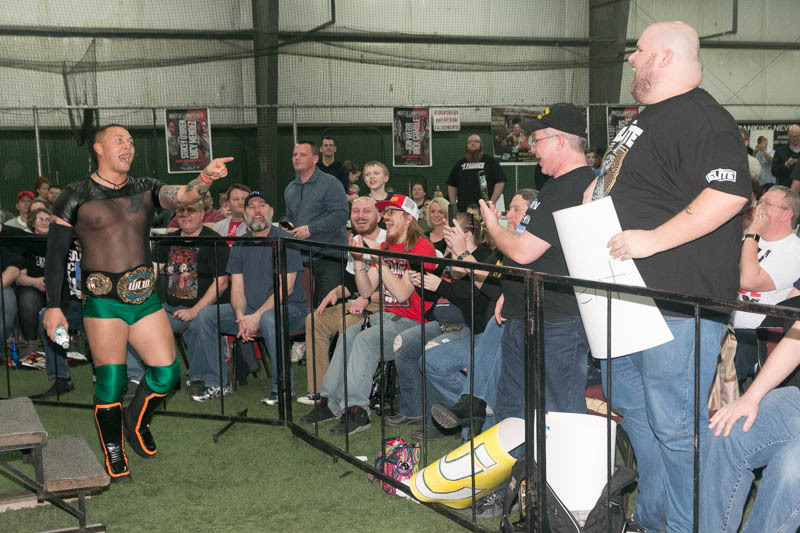 Connection Manager Travis Cook—who was at ringside with Blunt—tried getting involved in the match early on. 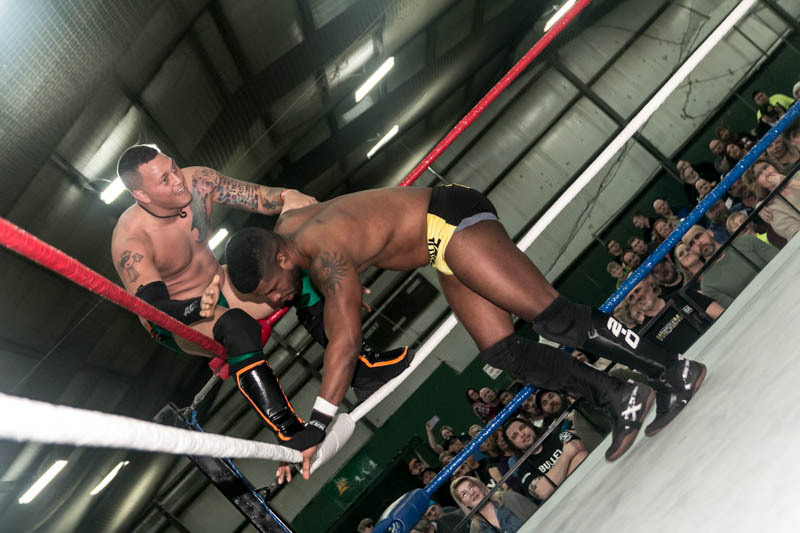 When Blunt gained the upper hand and tossed Jackson to the outside, Cook attempted to attack the champion but ended up being chased around the ring by “Night Train,” causing just enough of a distraction for Blunt maintain the advantage. 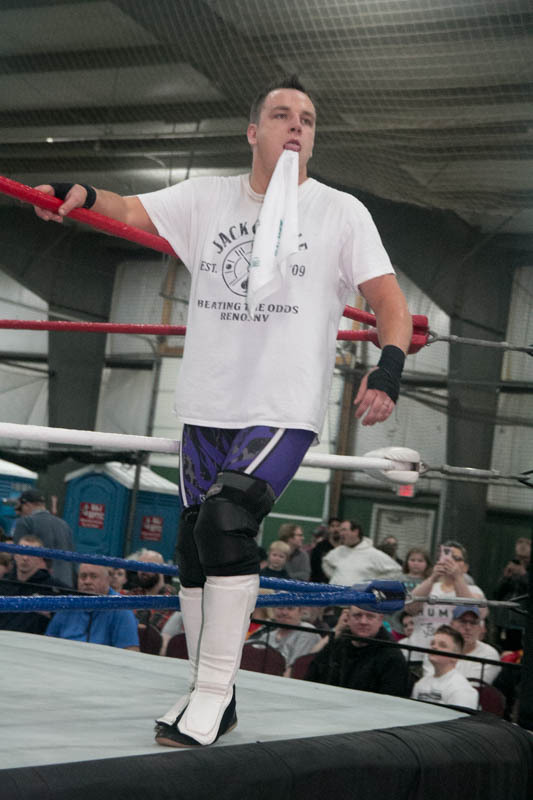 Slowly, Jackson began to turn the tide in his favor and he relentlessly pummeled Blunt. 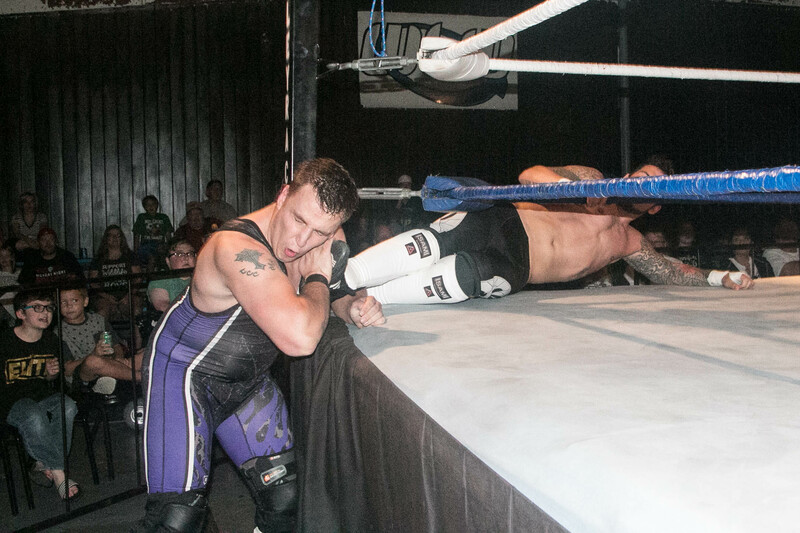 However, Blunt’s evil tactics took control once again, as he choked Jackson. 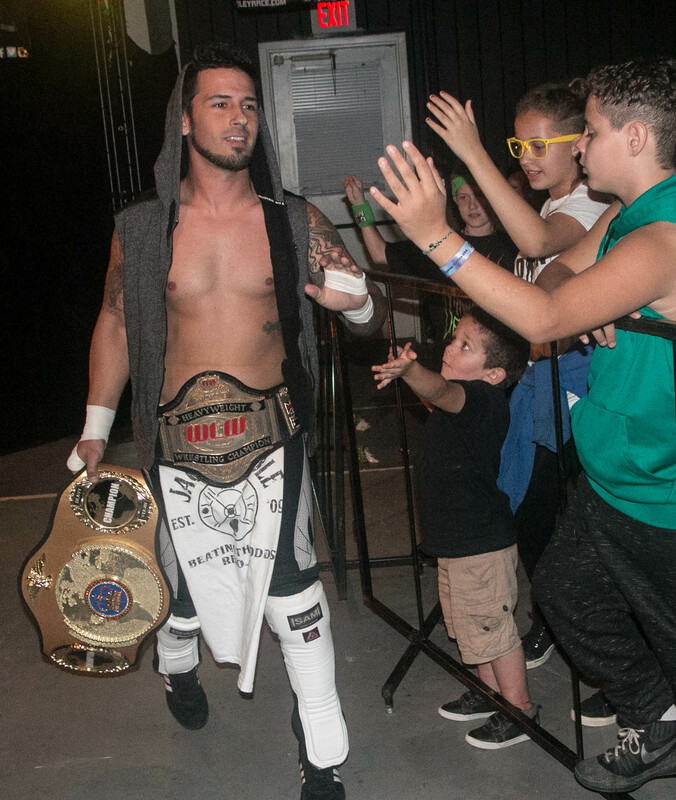 The fans were solely behind the champion, and once they started chanting for Jackson, he strived to get control, but Cook interfered yet again, right at the 10 minute mark. 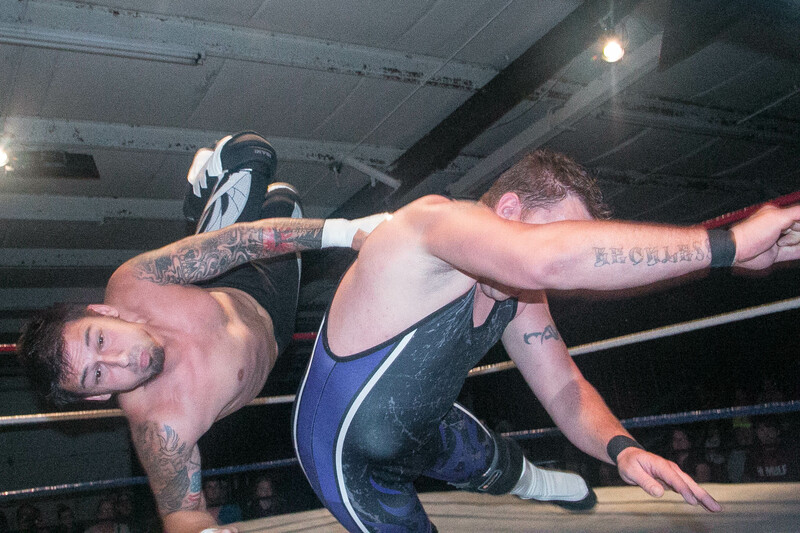 The two men then battled recklessly for the remainder of the bout, with each scoring nearfalls. 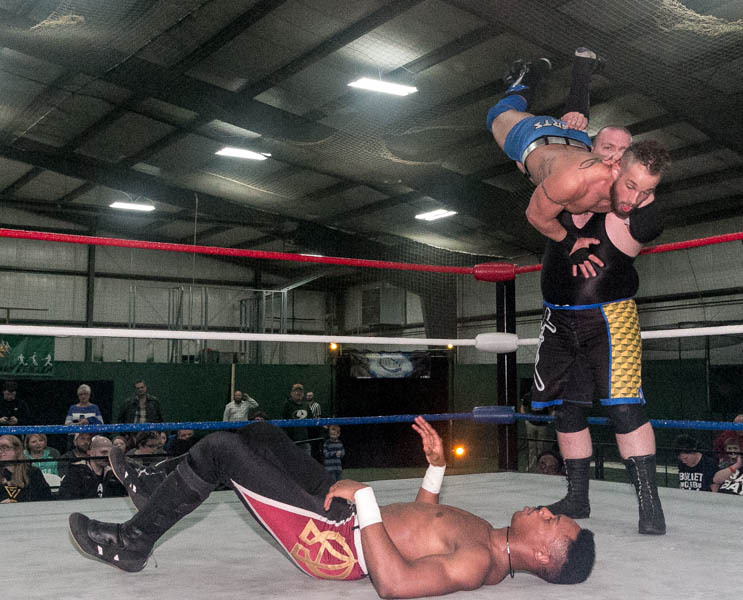 Just as Blunt looked like he would gain the belt, he had a confrontation with Commissioner Keith Smith, causing just enough of a distraction for Jackson to score a victory with a roll-up. 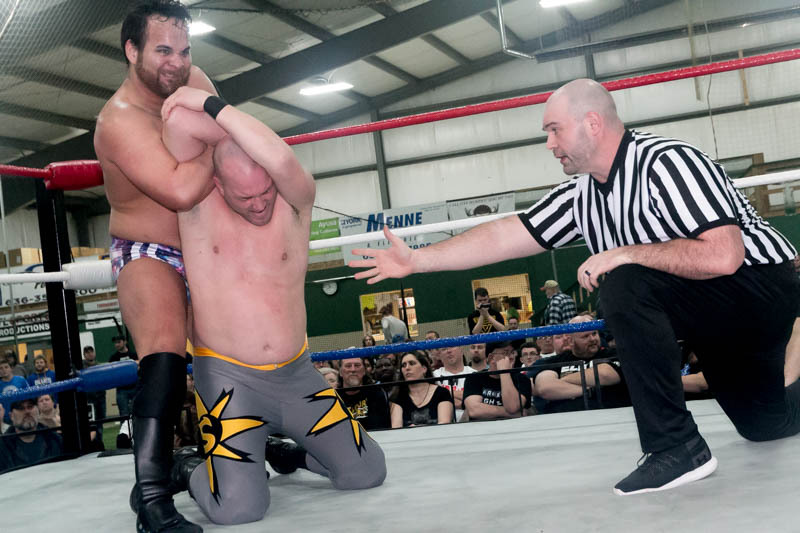 After the match, Cook provoked Referee Jim Harris, and Harris took off his shirt, prompting Jackson to put it on and pretend that he would be the ref in a match between the two, but Cook ran to the back like a scolded dog. 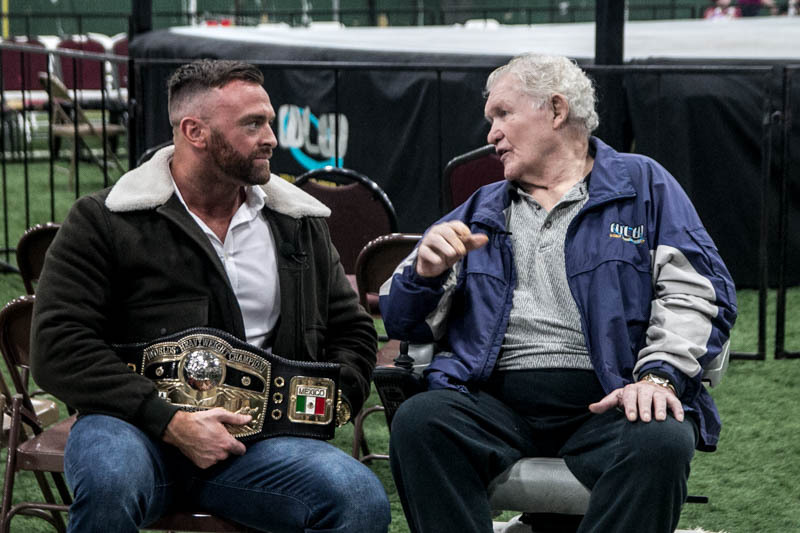 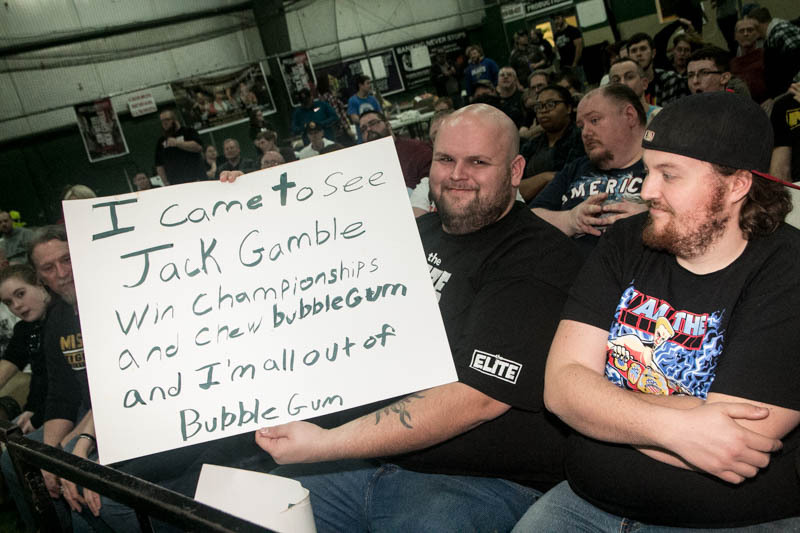 Jackson then told the Connection, if they want some, come get some, and he called out Shaft, who had been at ringside watching the match. 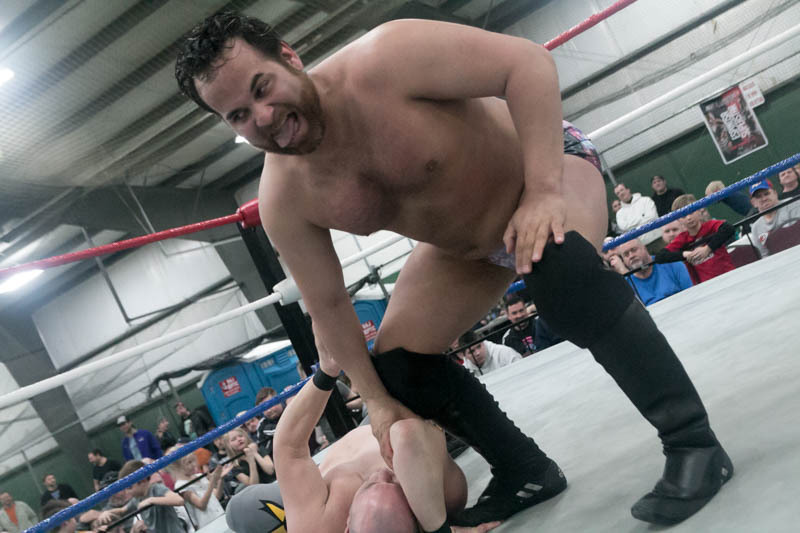 Jeremy Lightfoot and Shaft continued their seemingly endless feud once again. 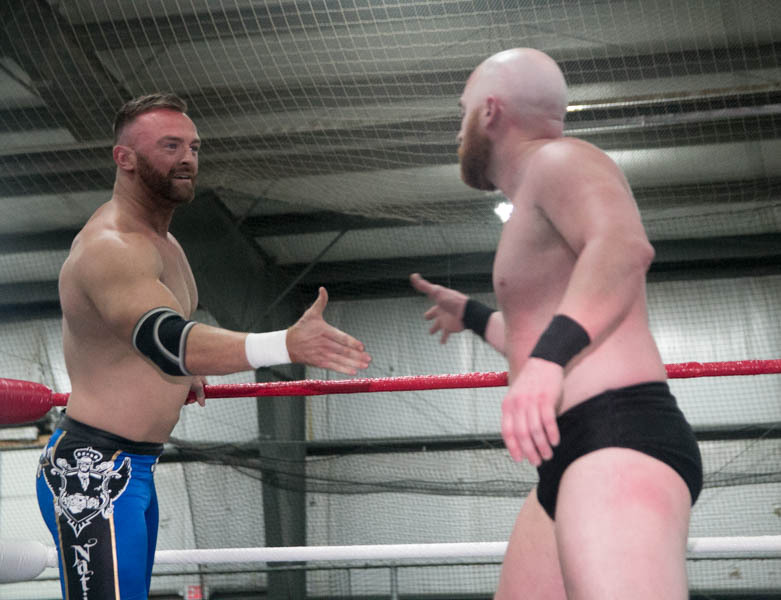 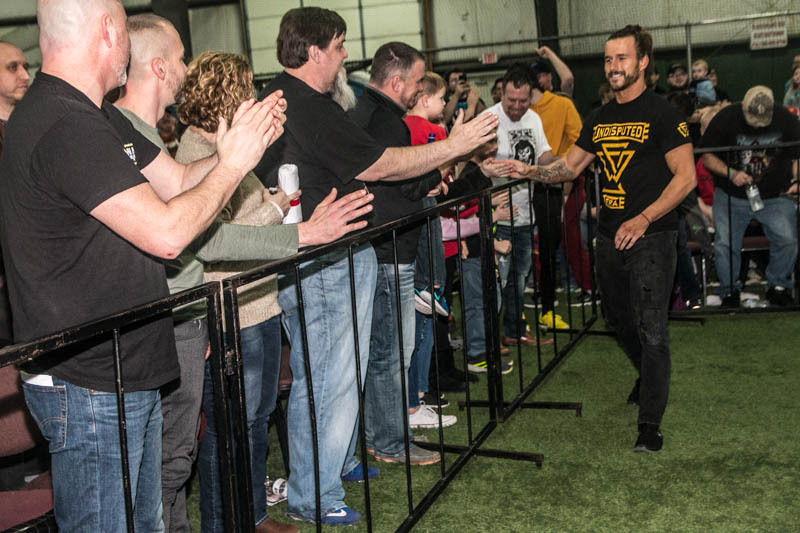 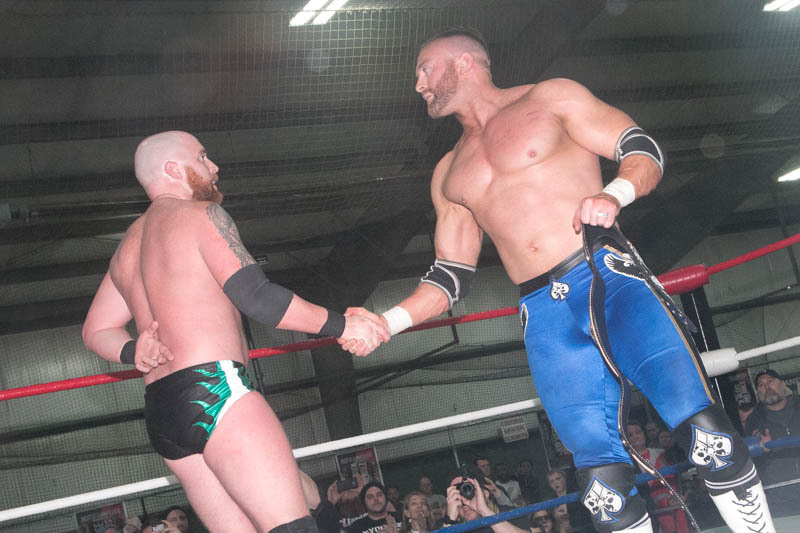 However, they seemed to have a newfound respect for one another, as the match began with a handshake. 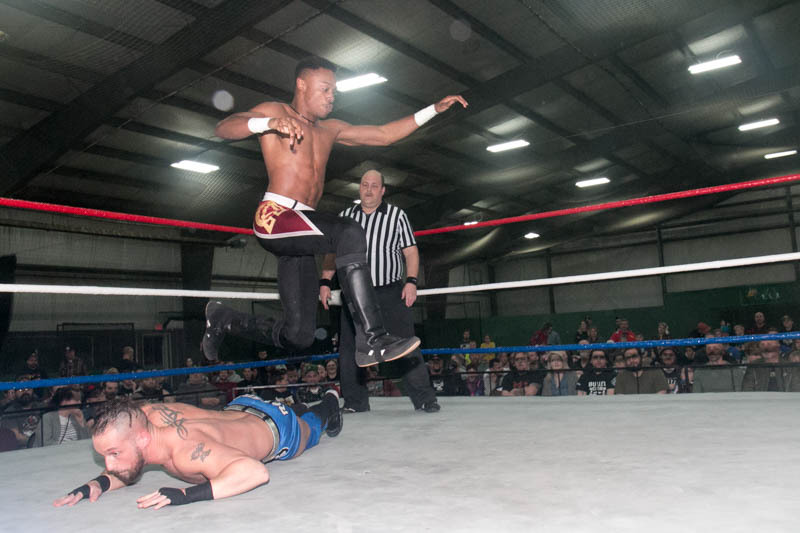 Although slow to get started, Lightfoot and Shaft turned their bout into a brawl as they went back and forth, both inside and outside of the ring. 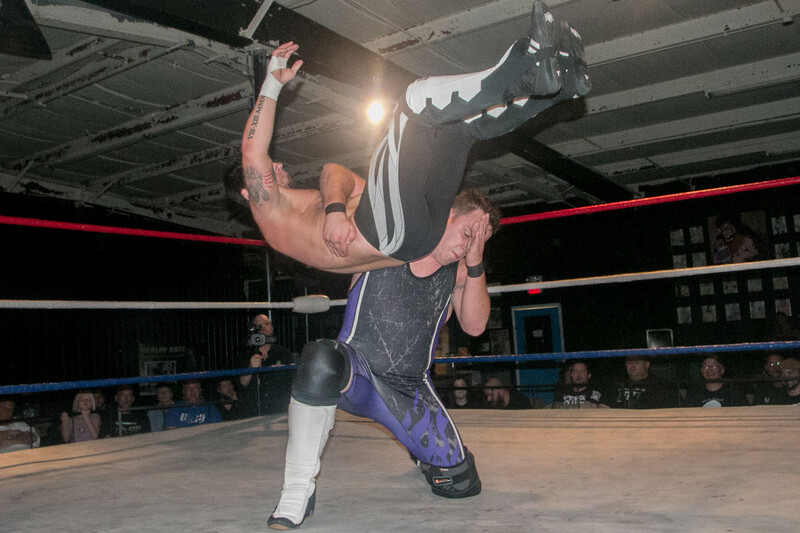 At one point, Lightfoot shot Shaft into the table with the ring bell and Shaft landed face first on the bell and even pulled it down with him. 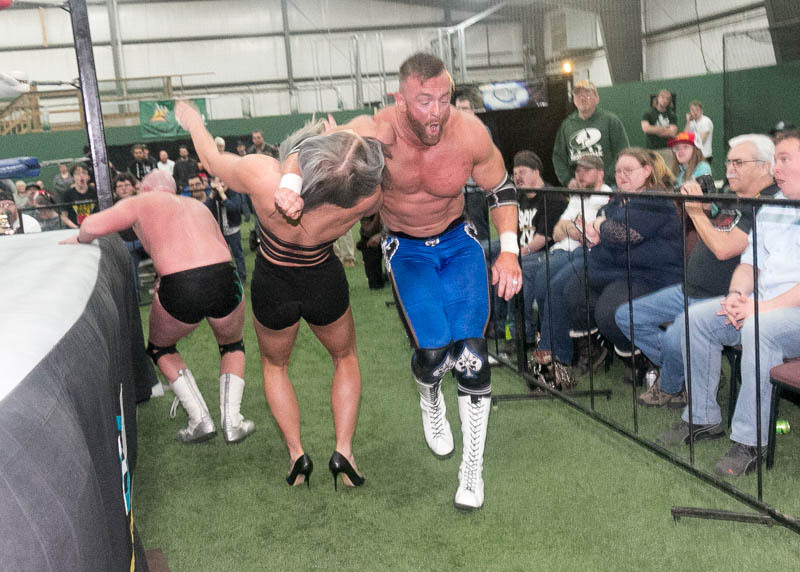 Later on, as the two men waged battle on the outside yet again, Lightfoot took a fan’s (my) water bottle, drank nearly all that was left, then smashed the bottle over Shaft’s head. 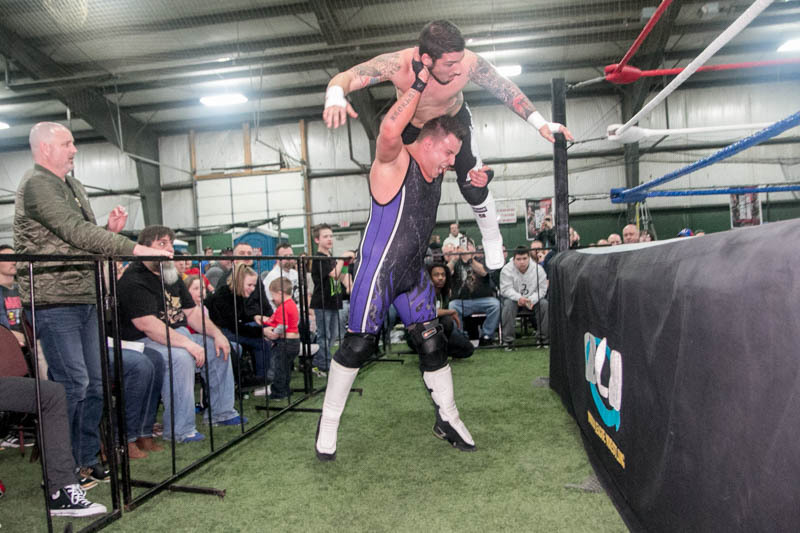 The match ended in a double count out at just over 16 minutes and the two continued fighting to the back. 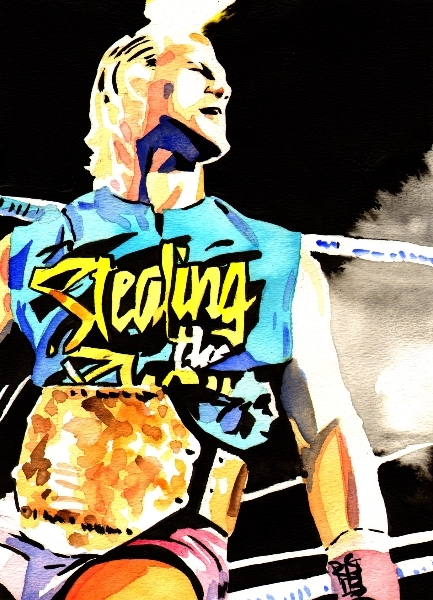 Previously, the fan favorite, A.J. 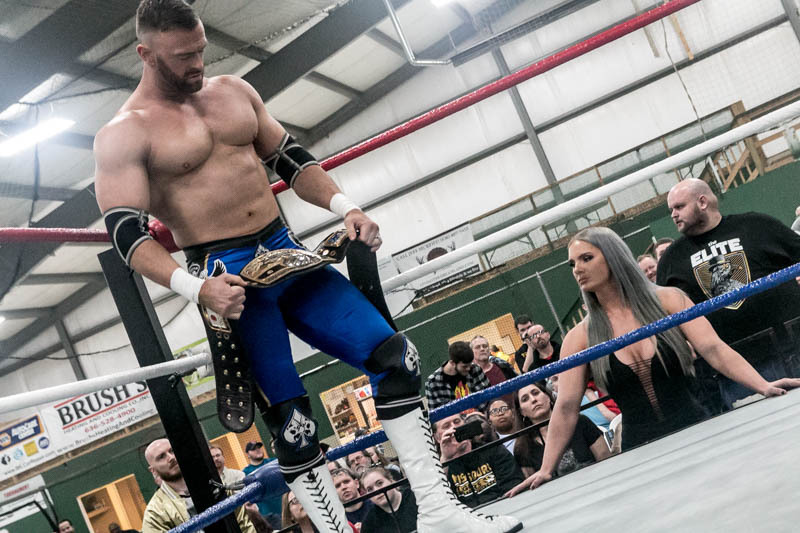 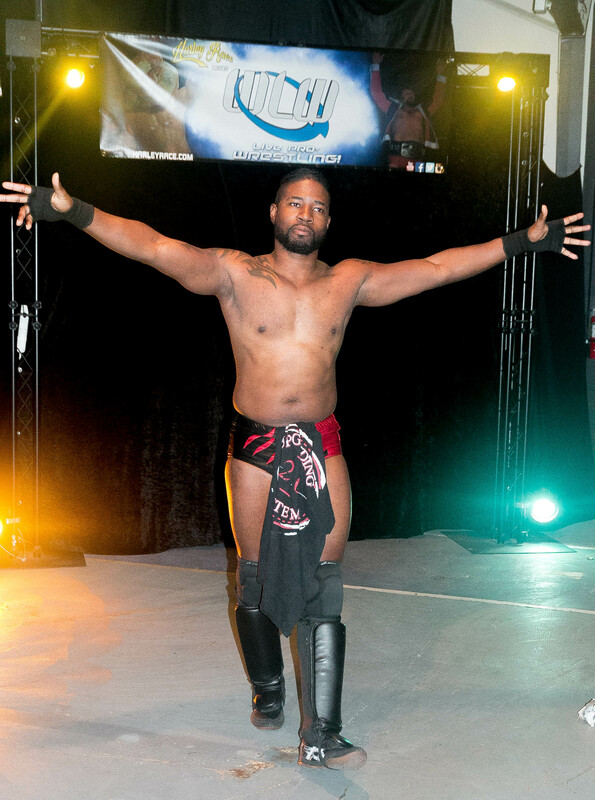 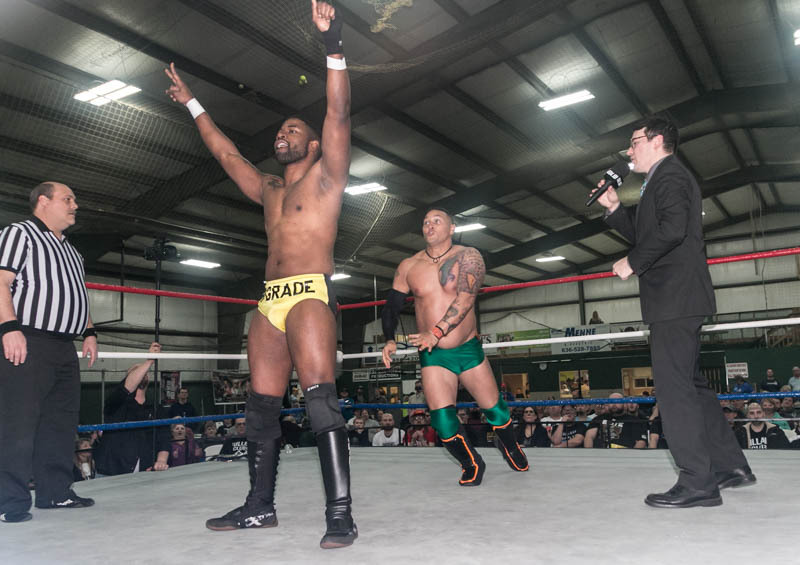 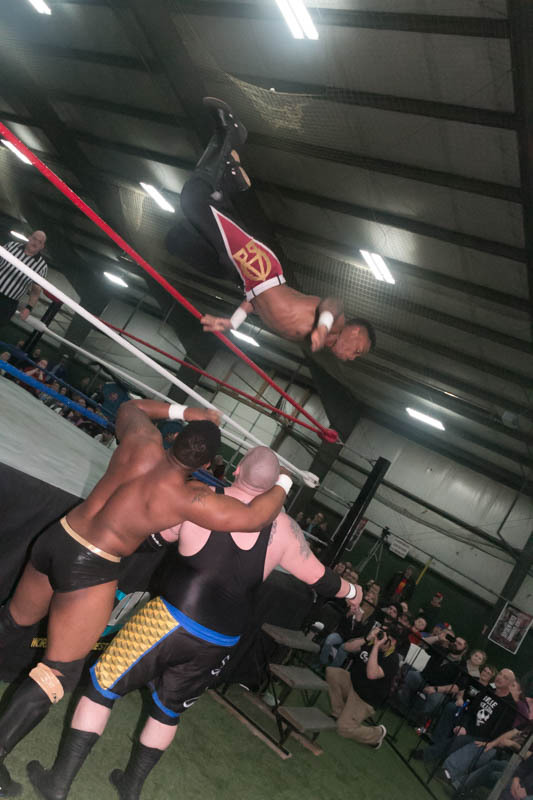 Williams defended his Junior Heavyweight Title against Bobby D. The challenger controlled the beginning of the match and when Williams appeared to have injured his knee, D took notice and targeted the area. 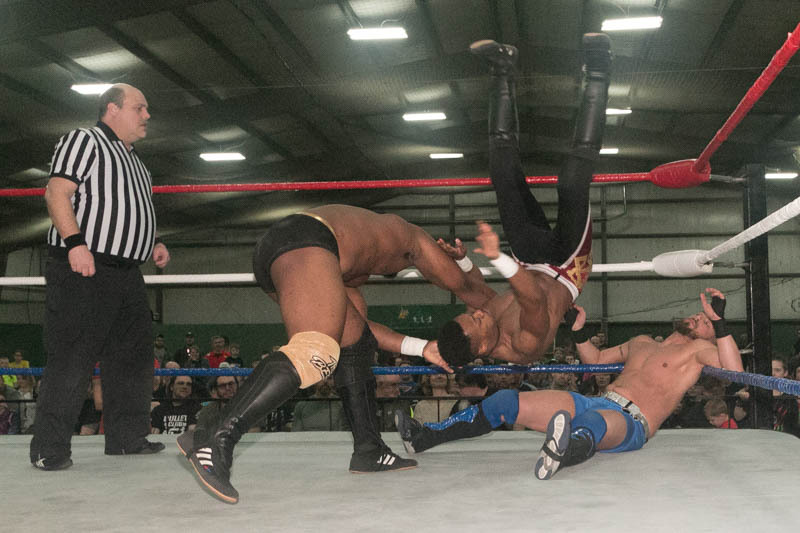 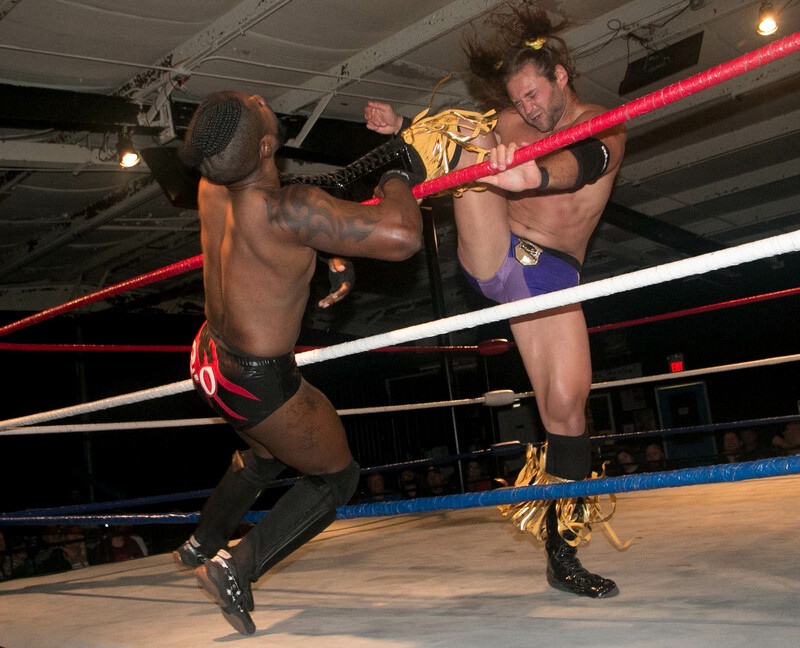 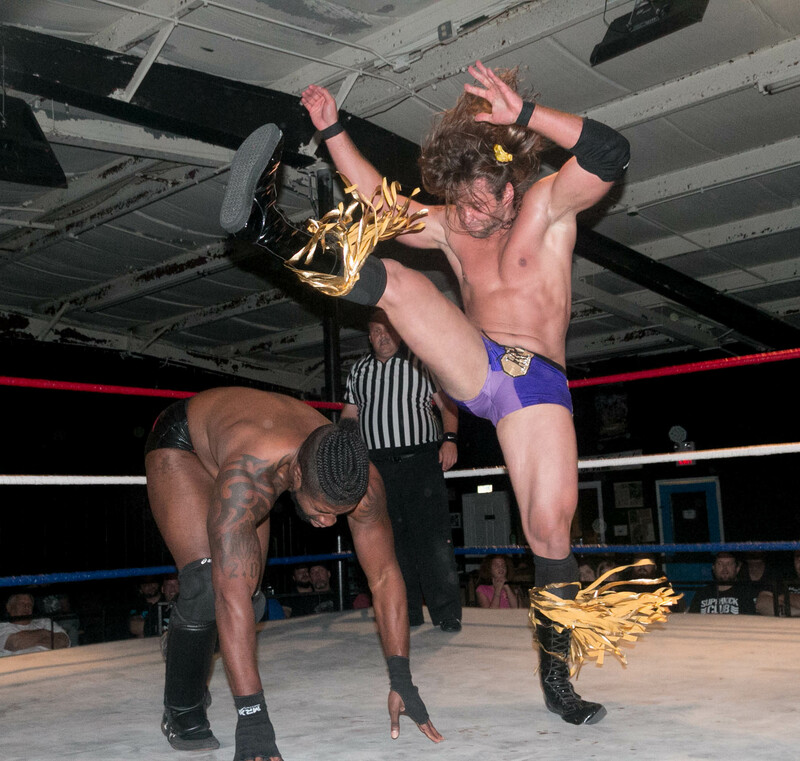 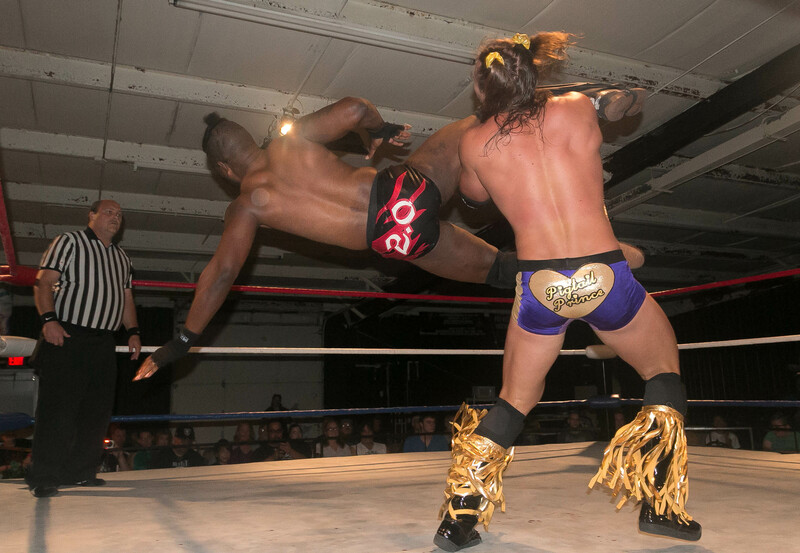 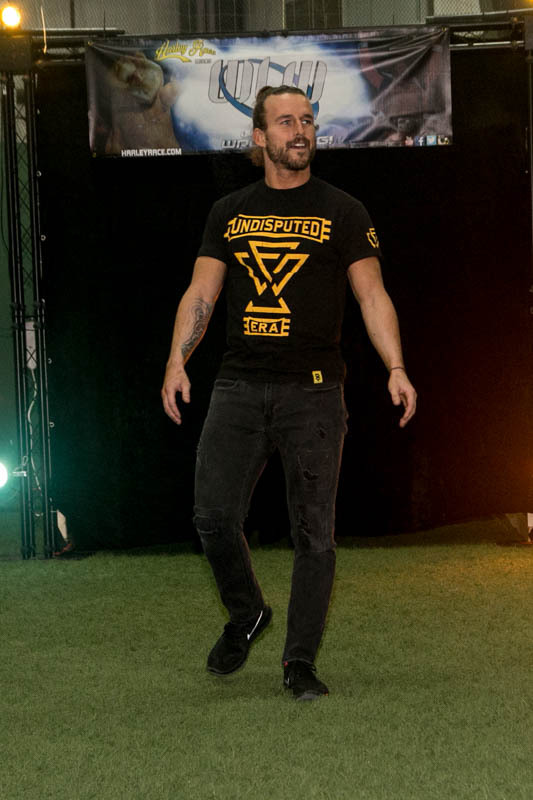 Just after the five minute mark, Williams had the opportunity to connect with a superkick, but he could not capitalize on the situation. 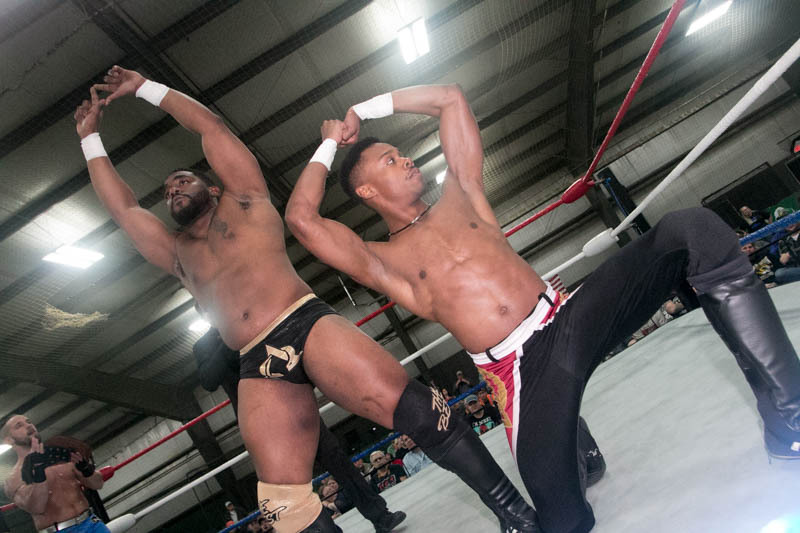 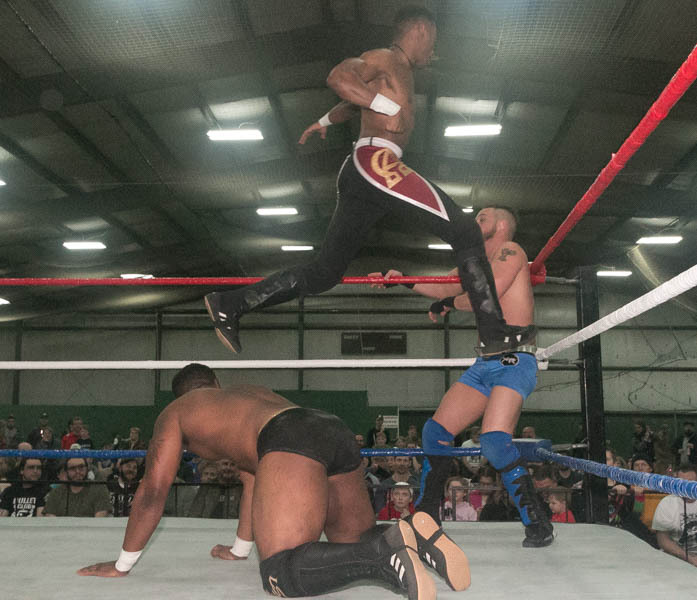 With guts and determination, Williams continued his attack, despite the injury, and though D snuck in a few select offensive moves, Williams decisively ended the bout with another superkick at 11:20. 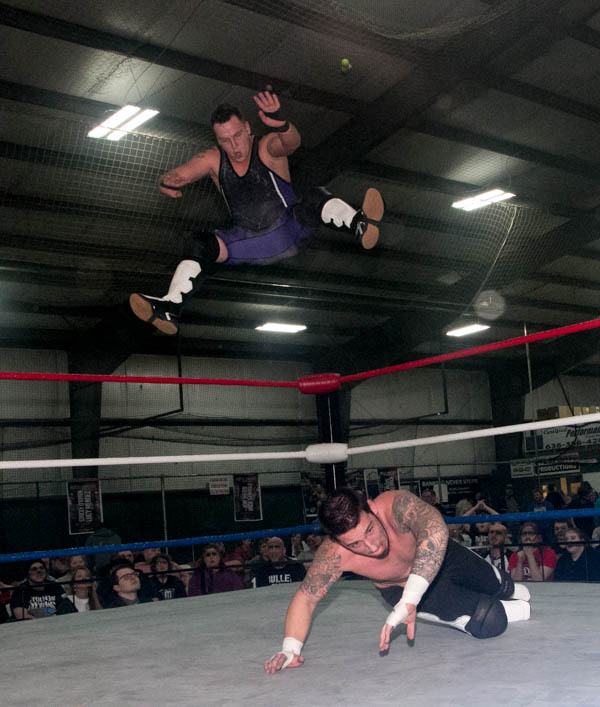 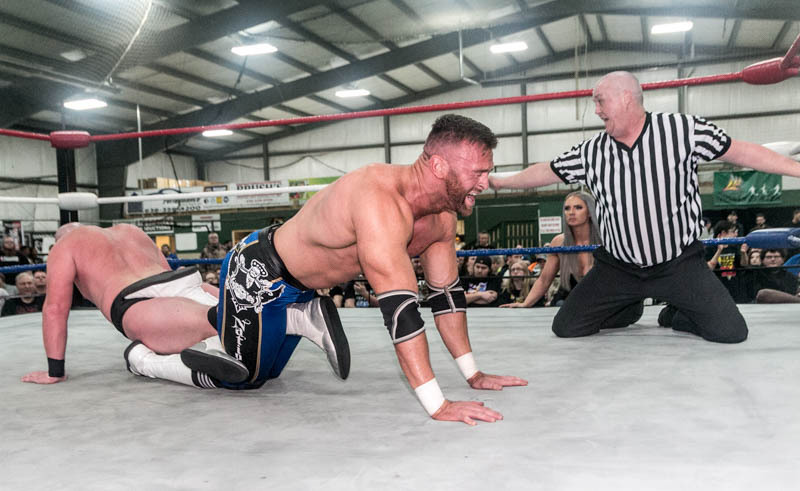 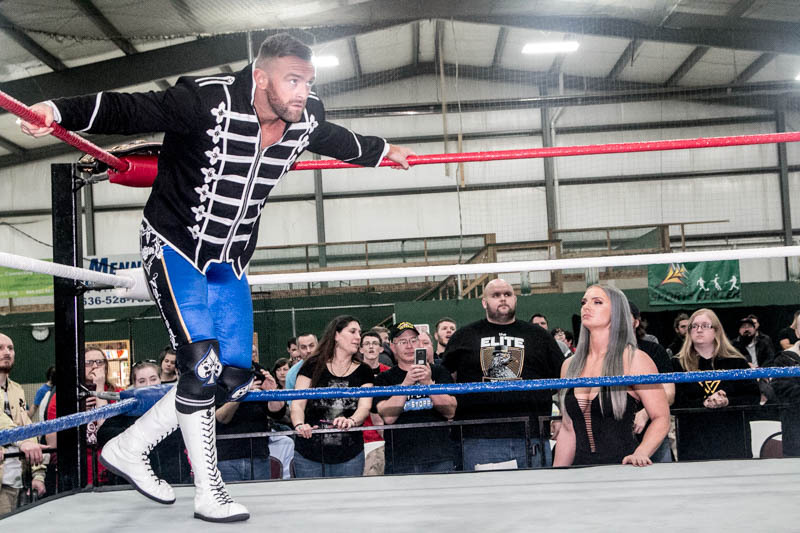 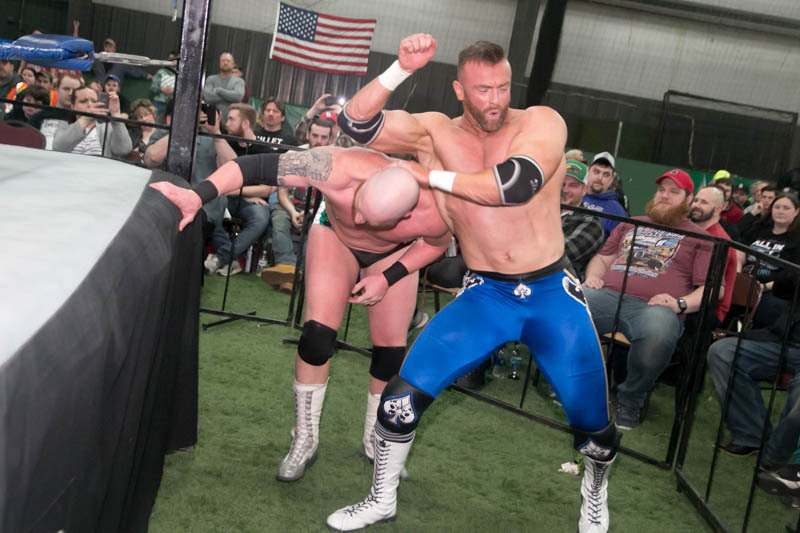 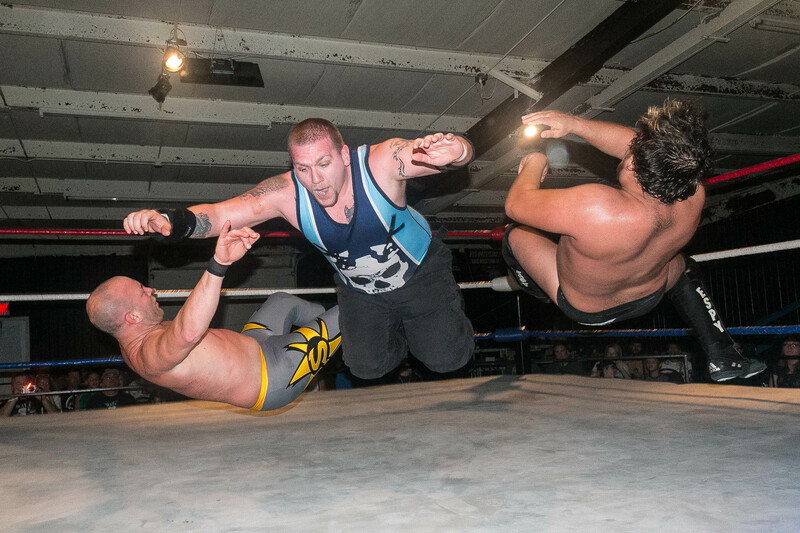 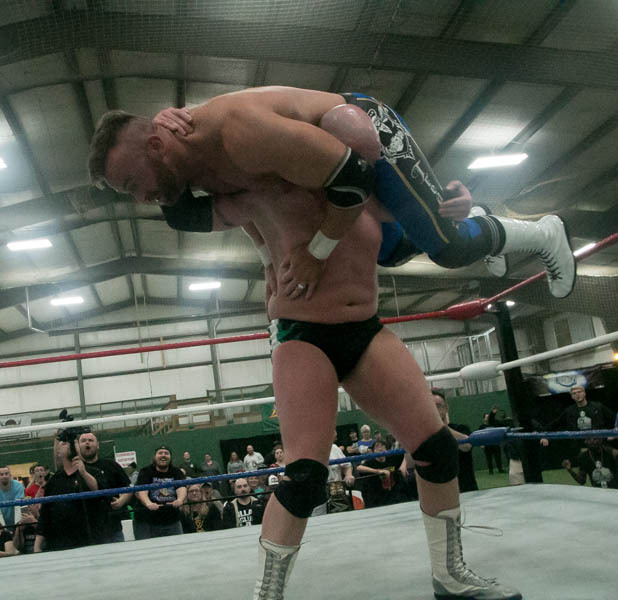 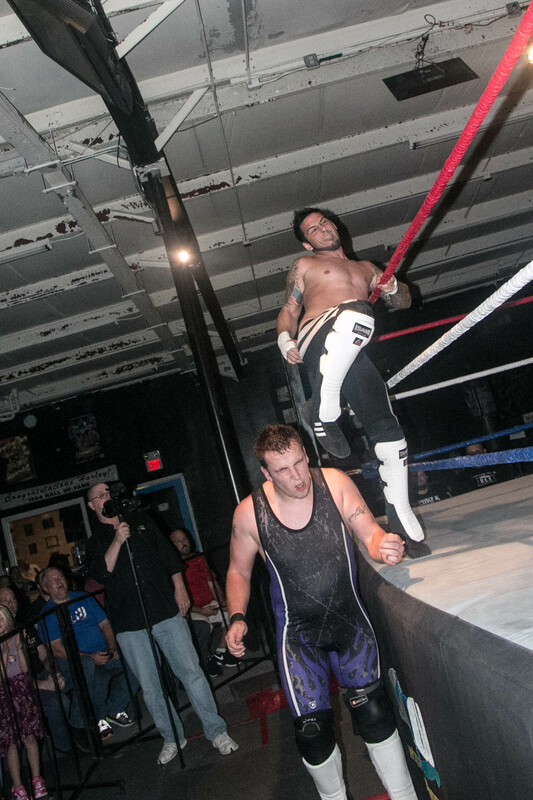 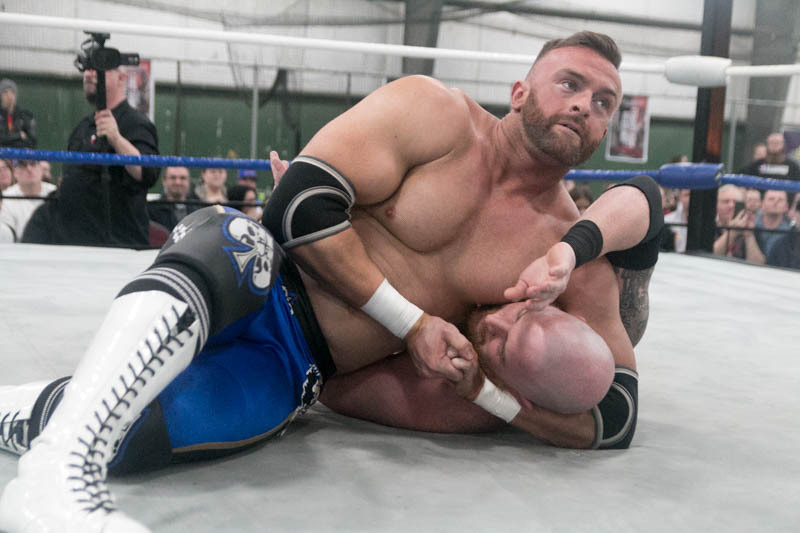 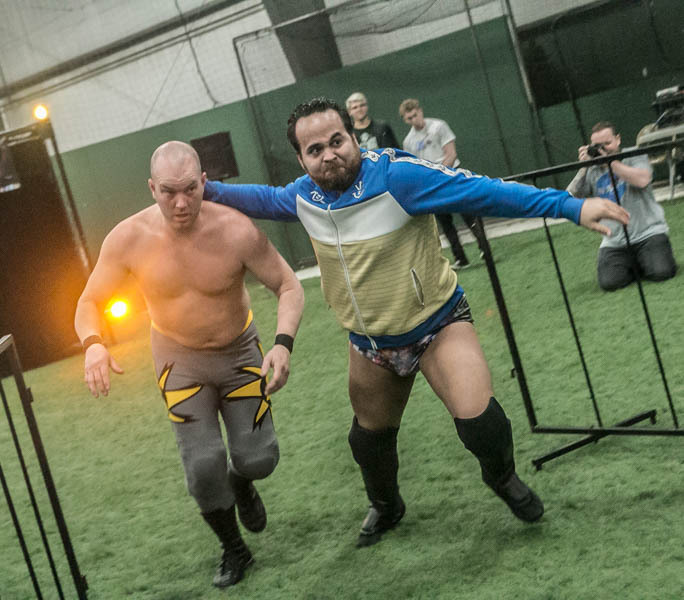 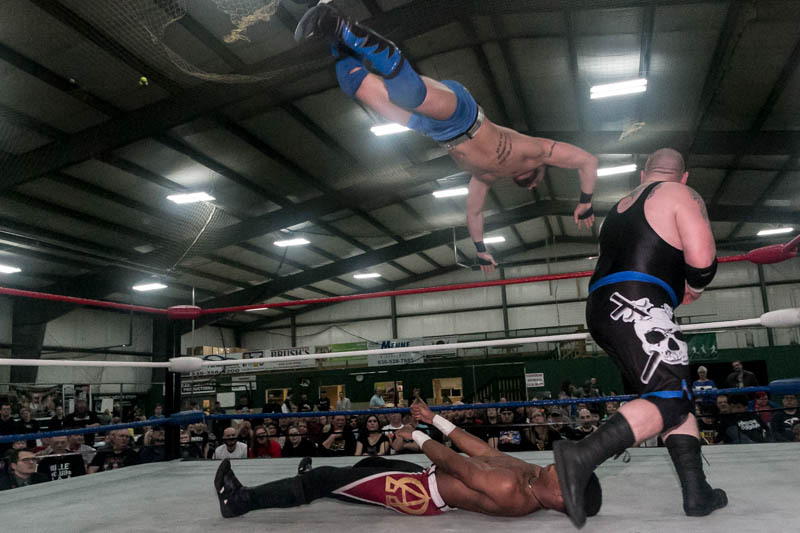 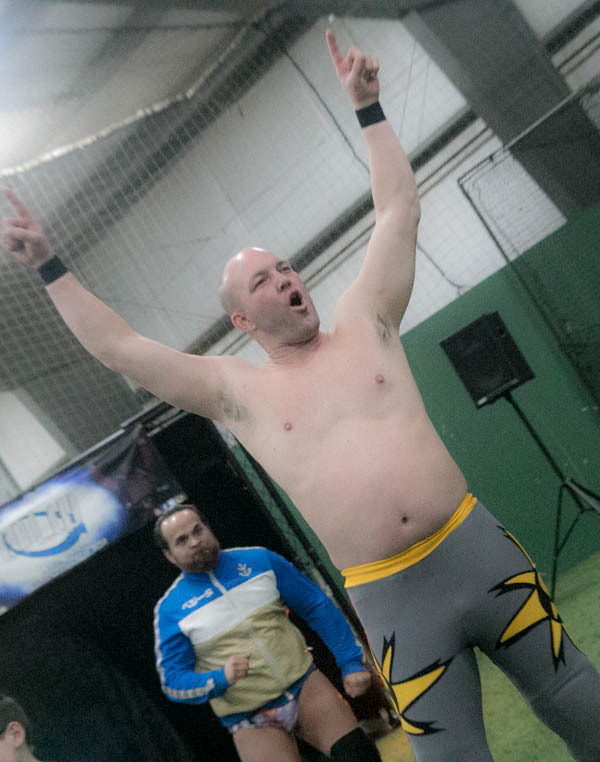 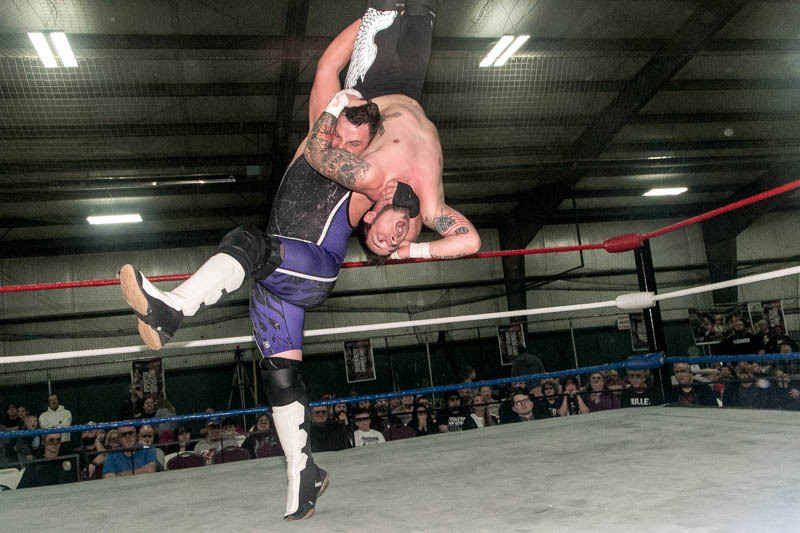 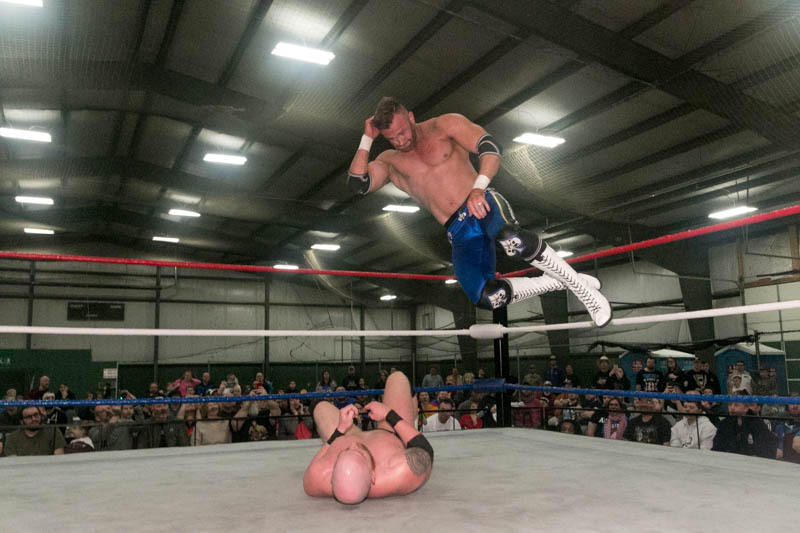 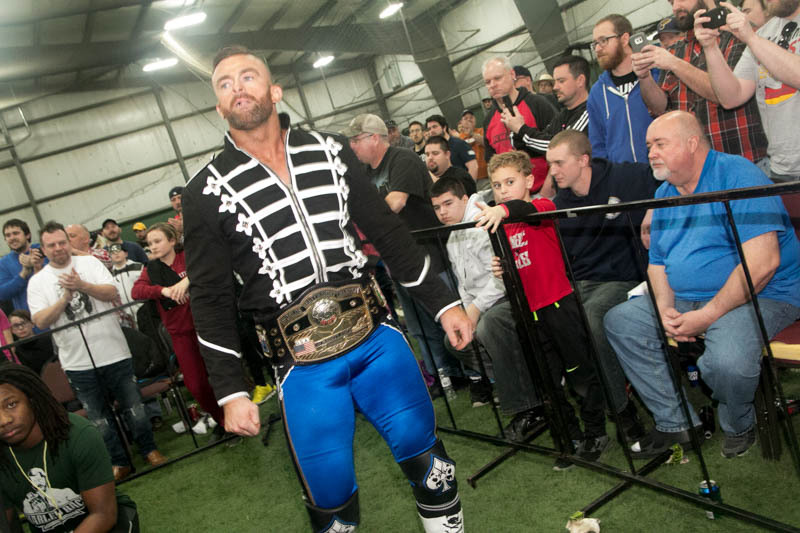 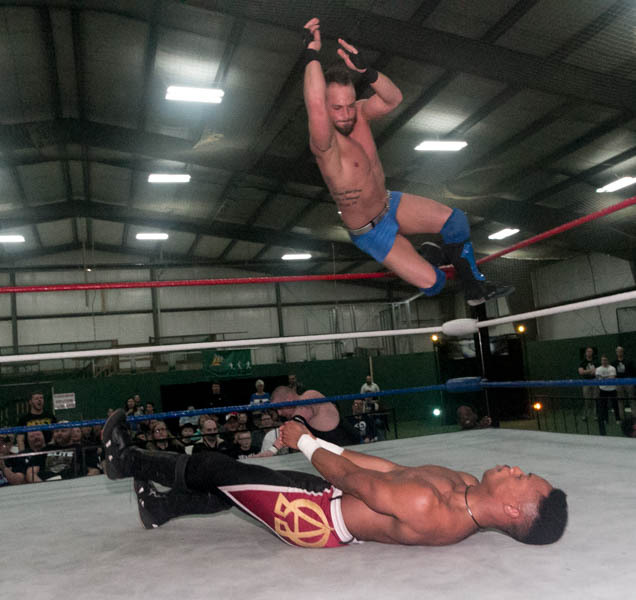 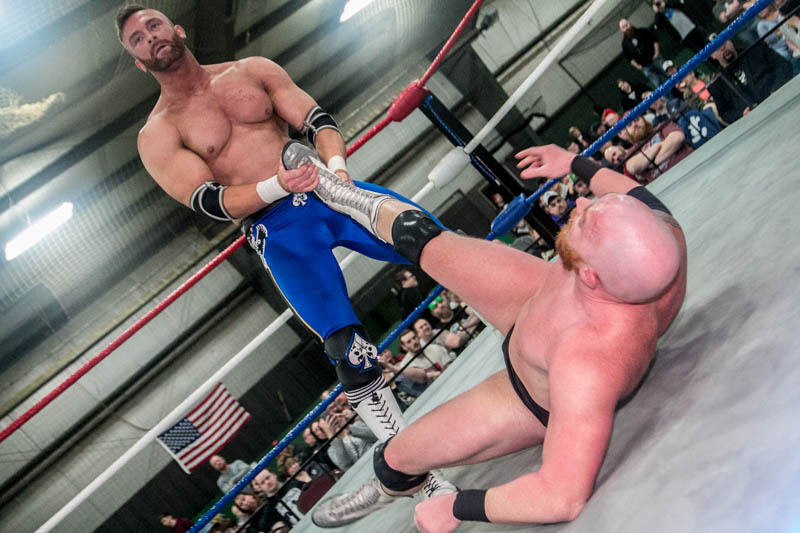 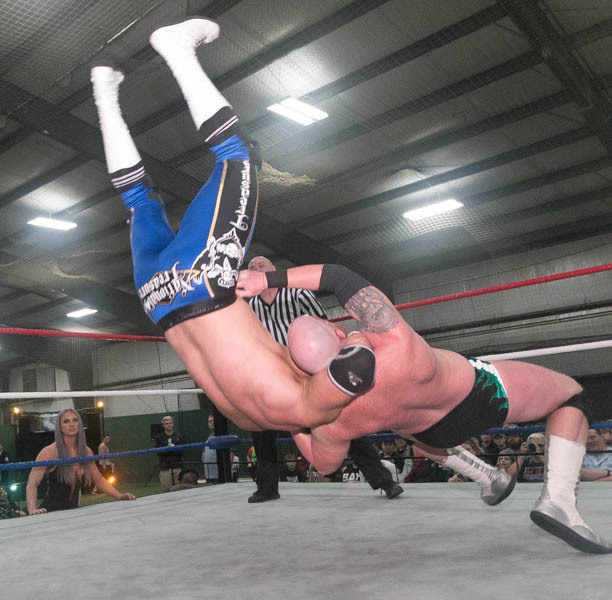 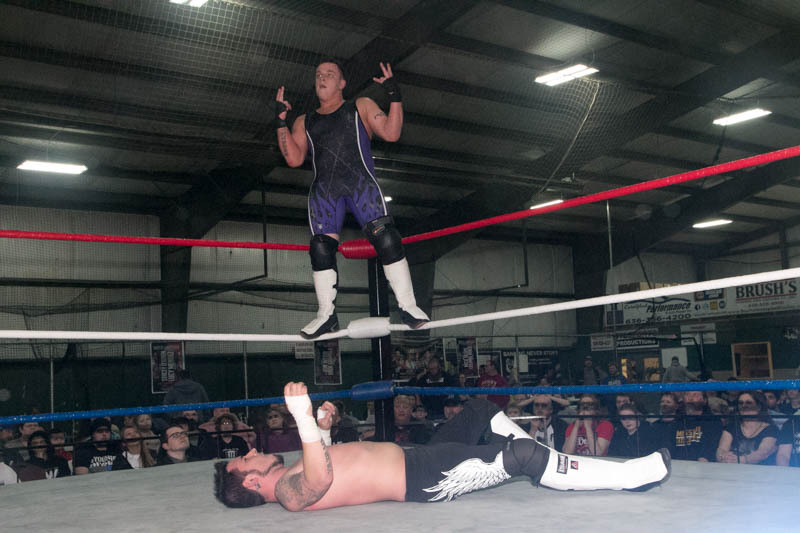 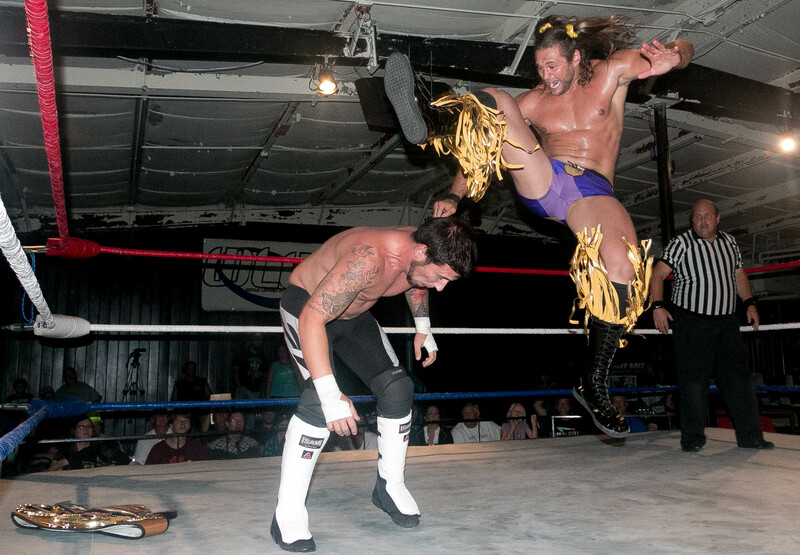 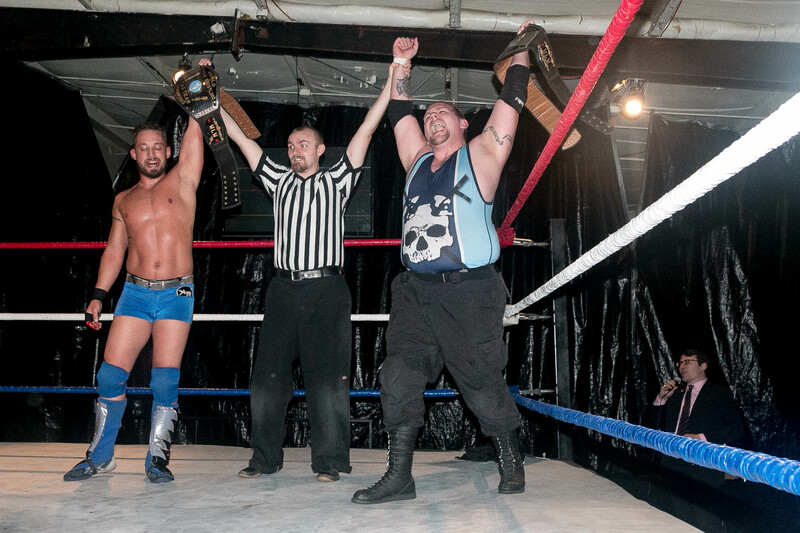 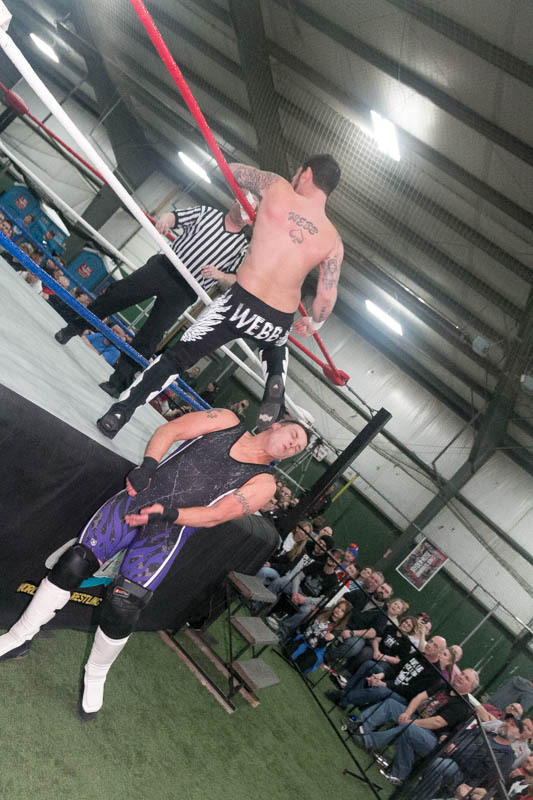 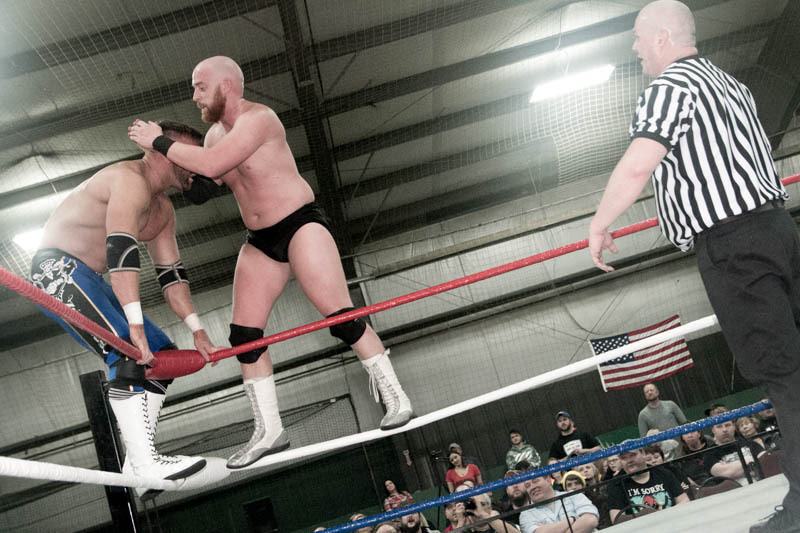 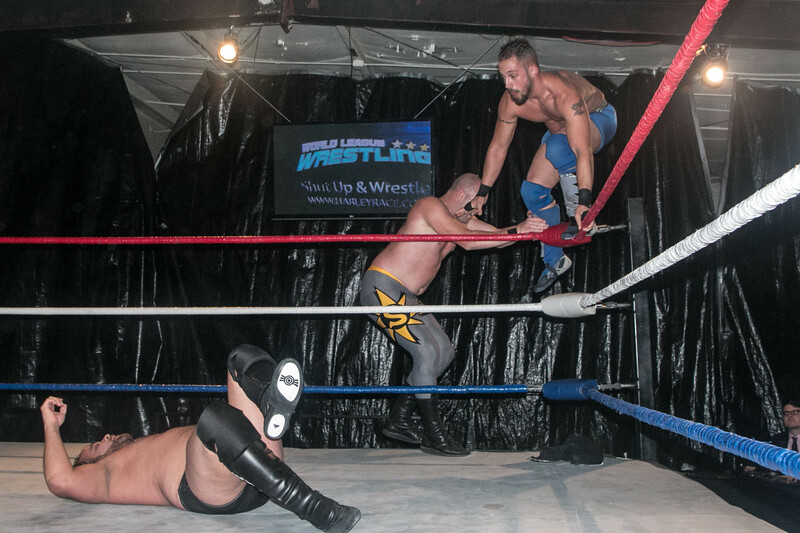 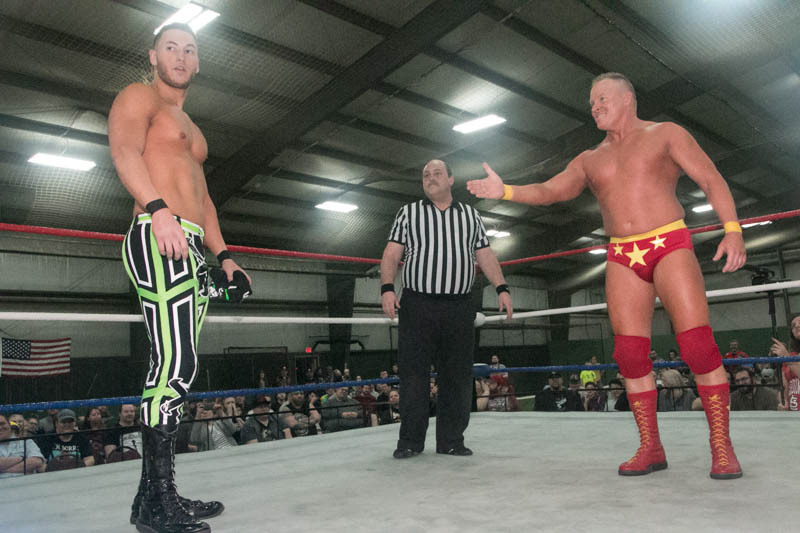 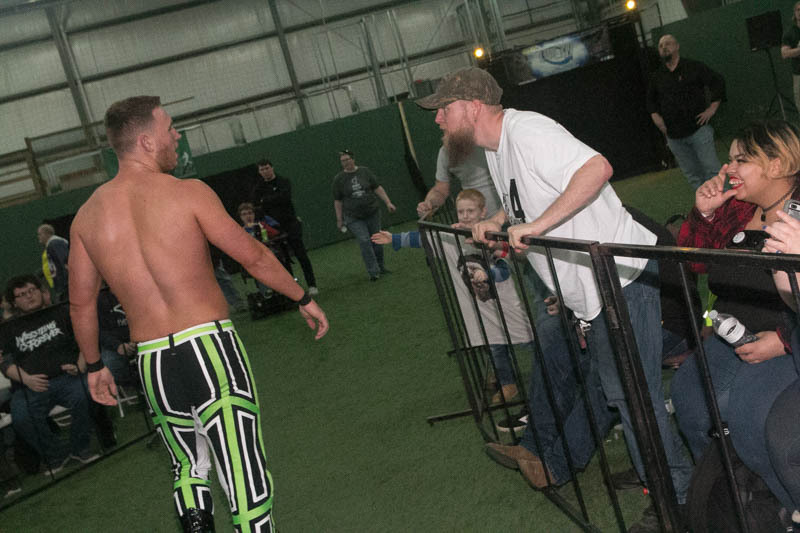 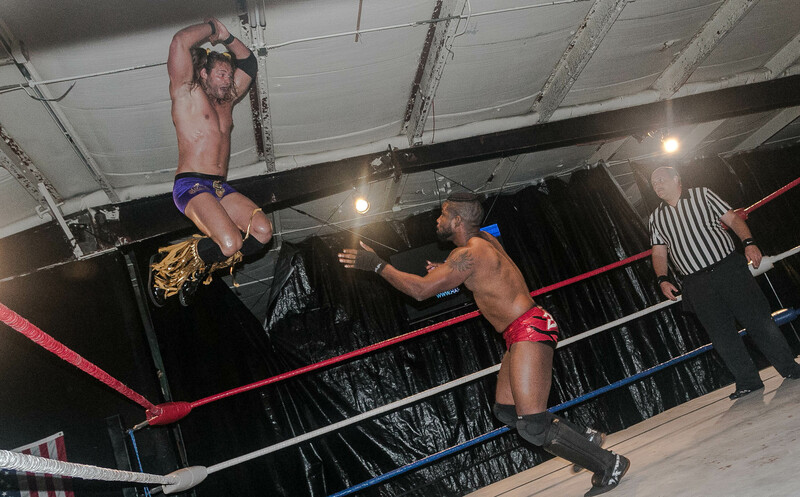 The Connection’s newest and most promising member, Dave Vaughn took on Eric Brewer. 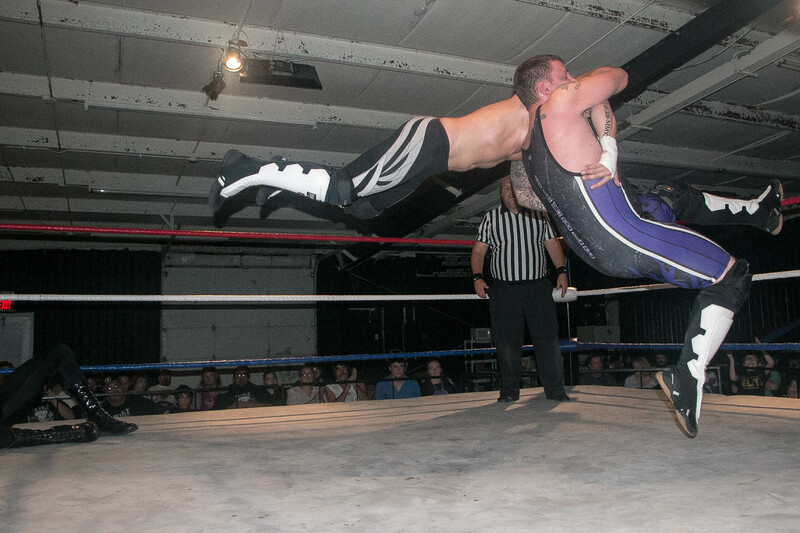 Vaughn’s pure athleticism clashed with Brewer’s more hard-hitting style, delivering one of the best matches of the evening. 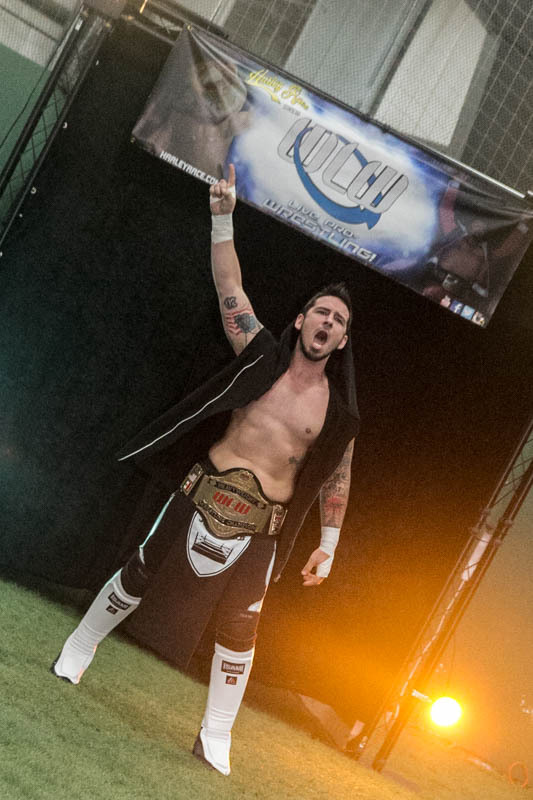 Vaughn dominated the majority of the match up with only a slight assistance from Cook, proving that The Connection has enough belief in him that he can win a match on his own terms. 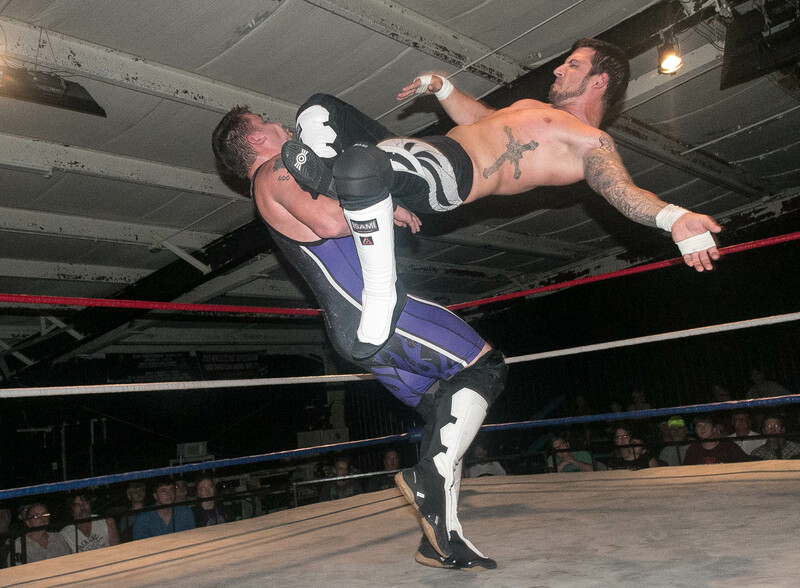 Nonetheless, Brewer pummeled Vaughn at every possible opening. 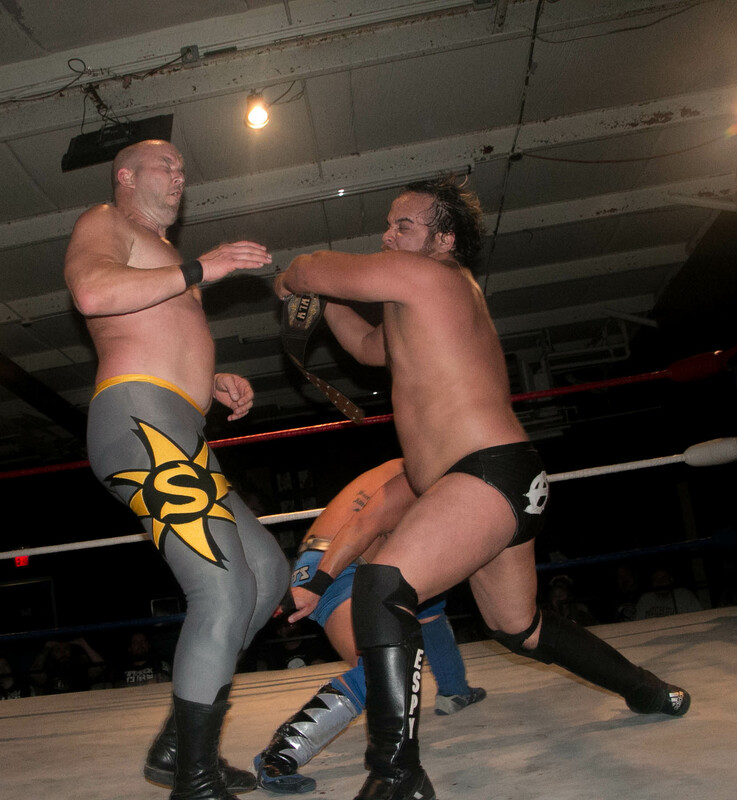 In the closing moments, Vaughn readied himself for a spear, but Brewer telegraphed the maneuver. 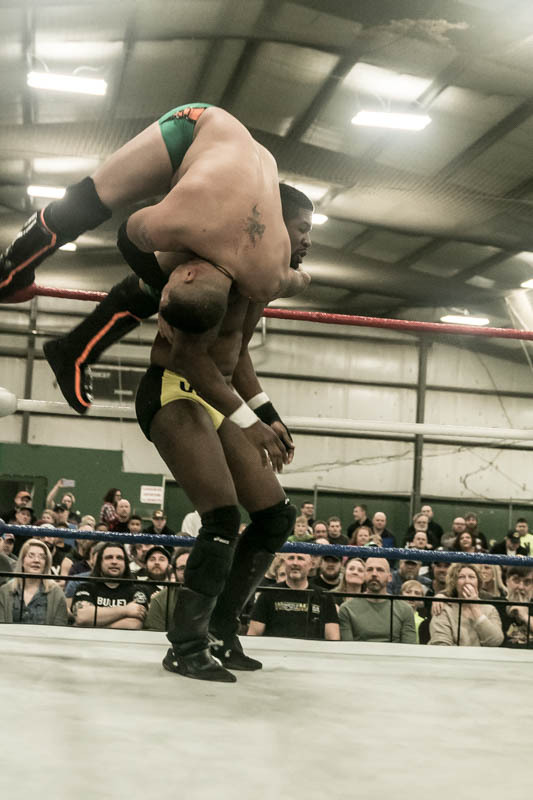 Mere moments later, Cook caused a distraction, giving Vaughn enough time to recover from Brewer’s spinebuster and connect with the second spear and lock up another victory for The Connection. 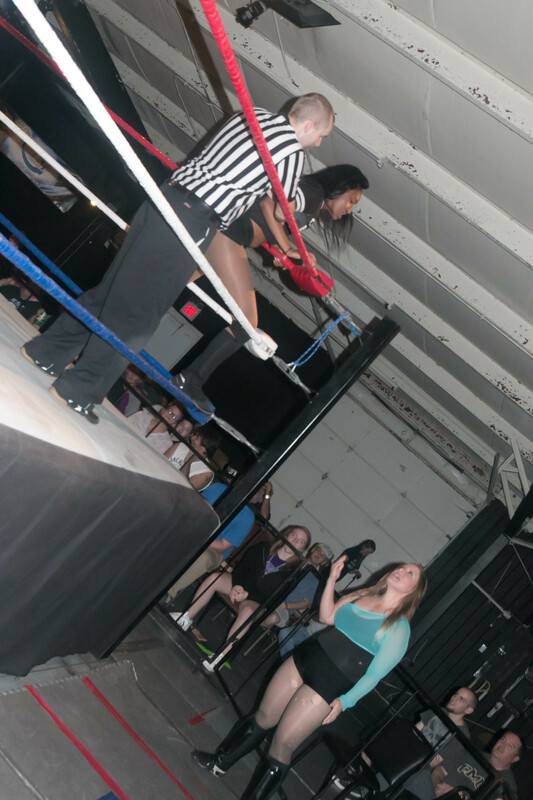 The first title match of the evening pitted Women’s Champion Alexis Lightfoot against the former champion in Stacey O’ Brien. 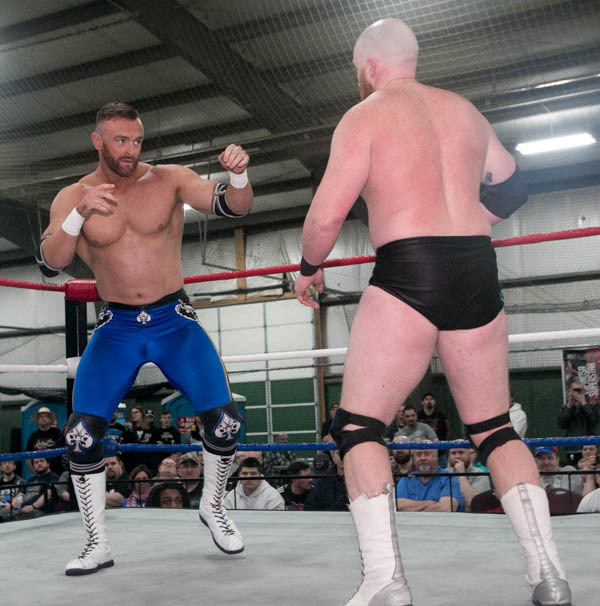 O’ Brien’s determination to regain the belt showed in every punch and every kick. 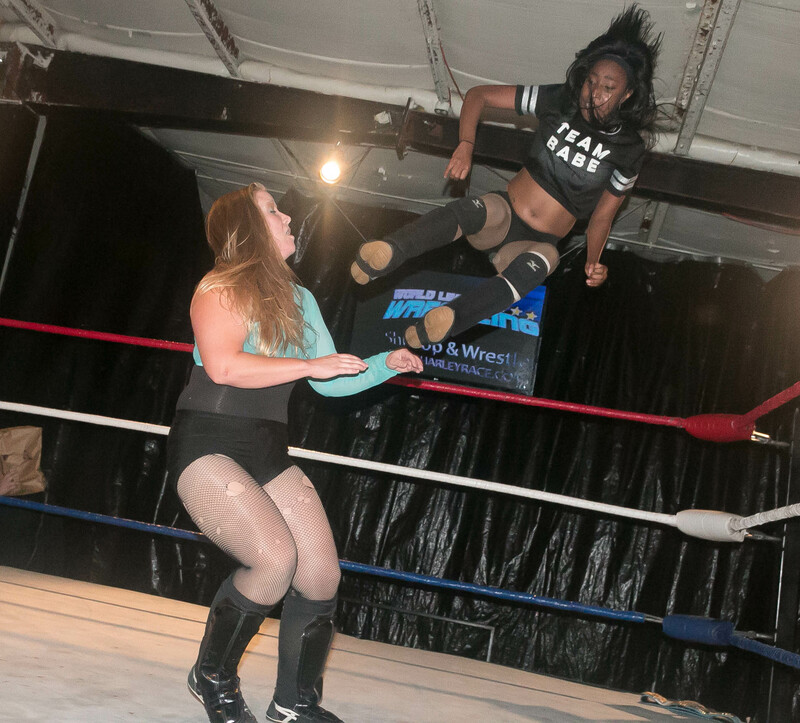 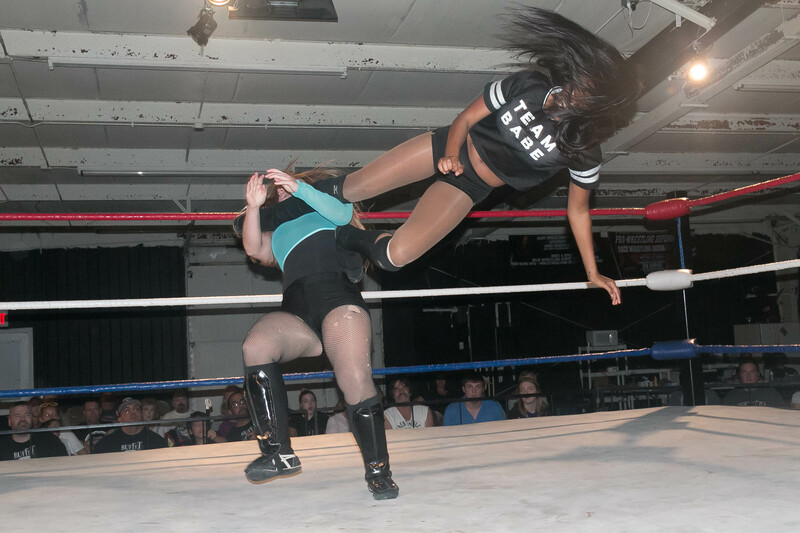 She controlled the second half of the bout and had Alexis ready for the pin, but just after 10 minutes, Alexis began to feel her title slipping away, causing her to comeback viciously and retain. 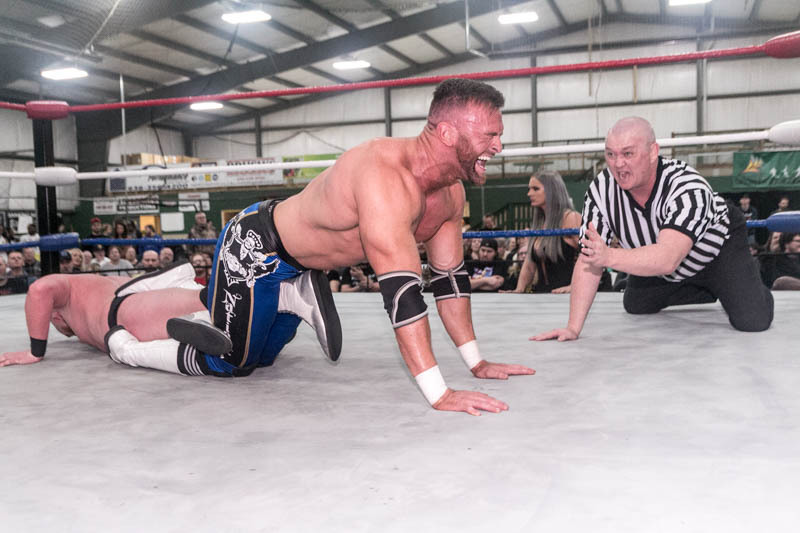 Due to scheduling conflicts, this reporter missed the first two matches, and Patrick Brandmeyer has the rest of the details from the night. 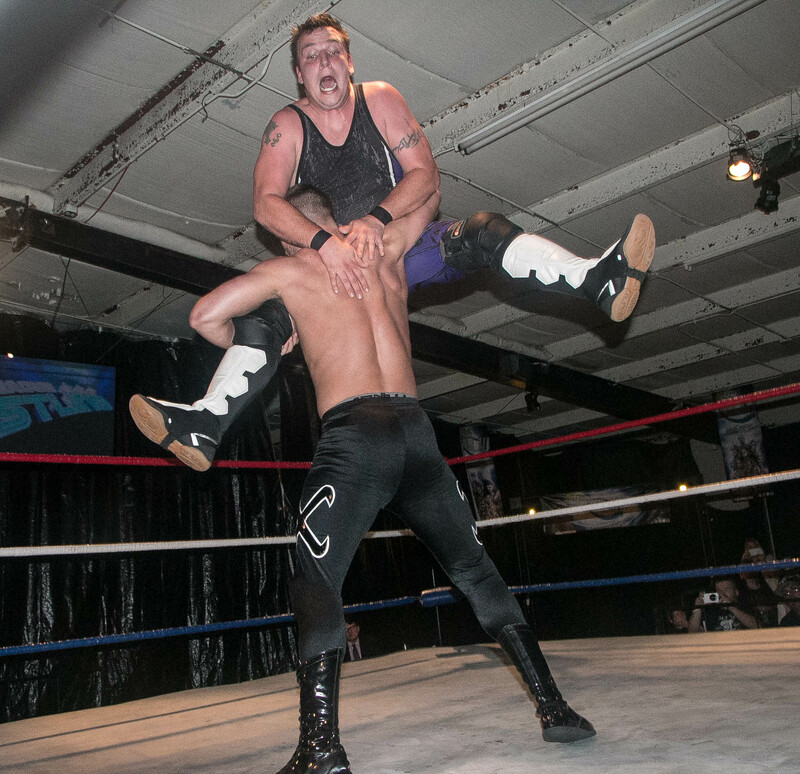 The second matchup was Waco (w/ Big Texan) v. Saladin. 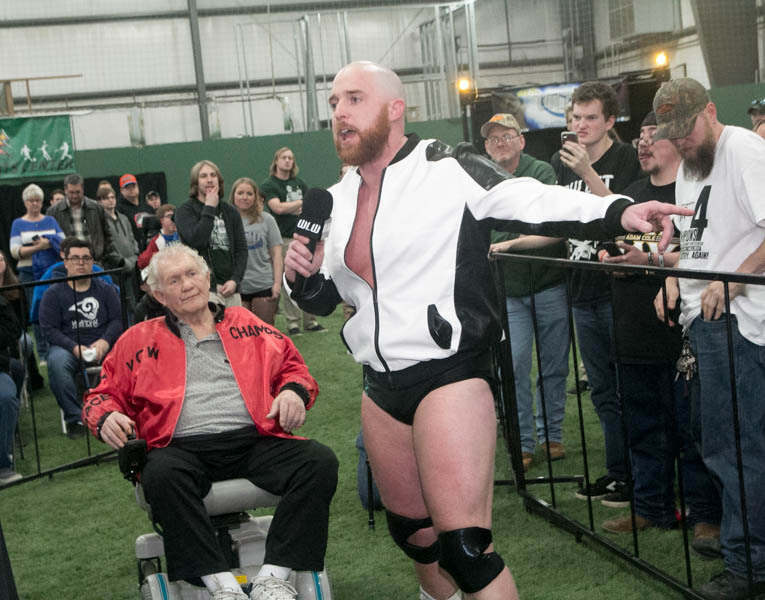 Neither guy was all that popular with the East Carondelet audience, and neither seemed all that interested in changing that opinion. 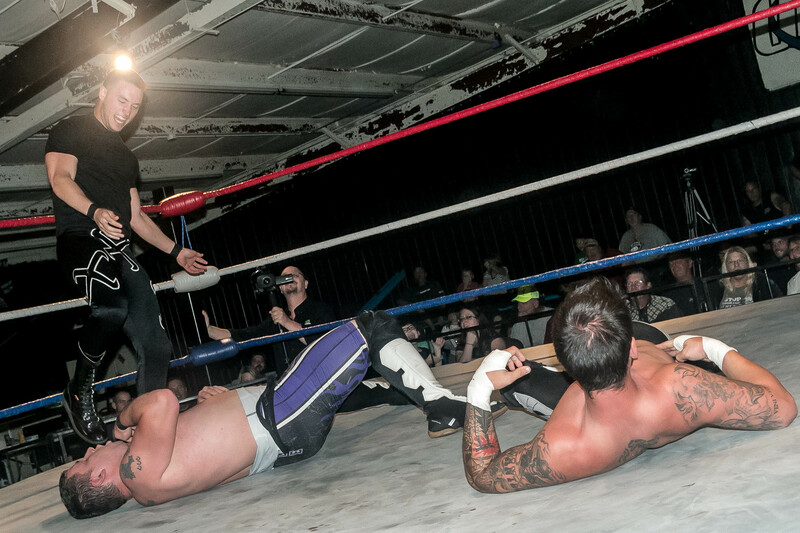 Both men used underhanded tactics, but Waco came out on top with a rollup and handful of tights. 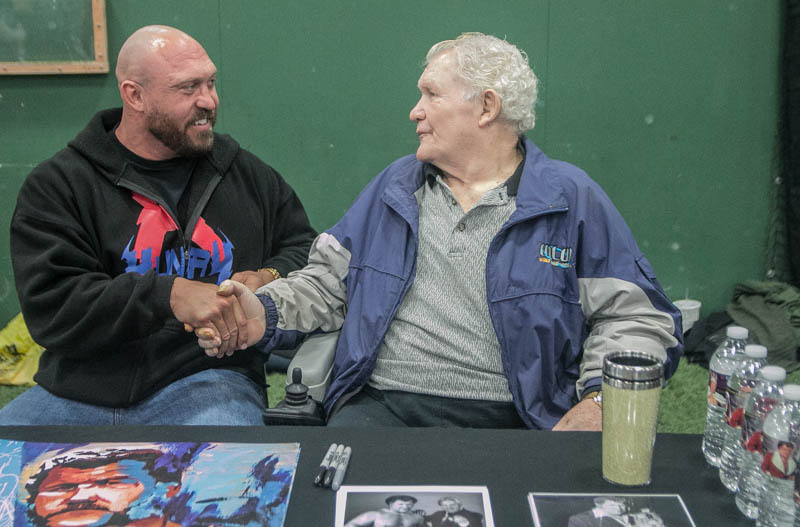 In the opener Billy Diamond wrestled Big Texan w/ Waco. 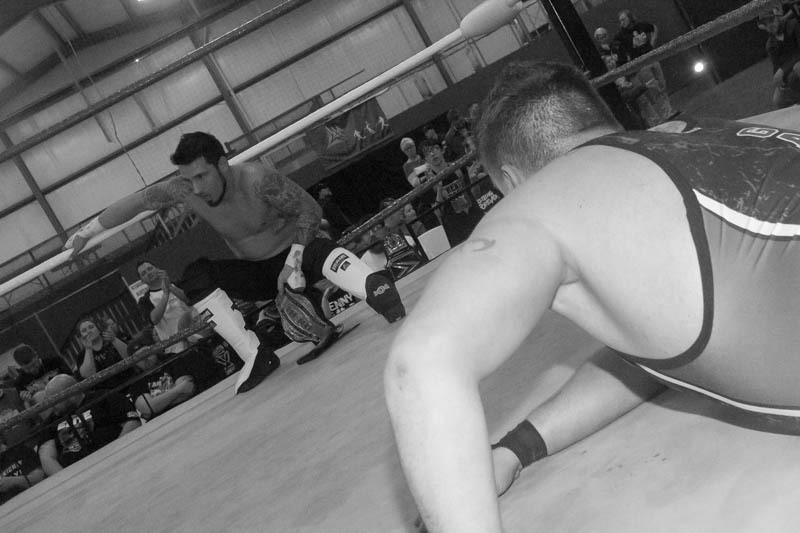 Texan focused his attack on the back, while Diamond attempted to work the leg to cut the big man down to size. 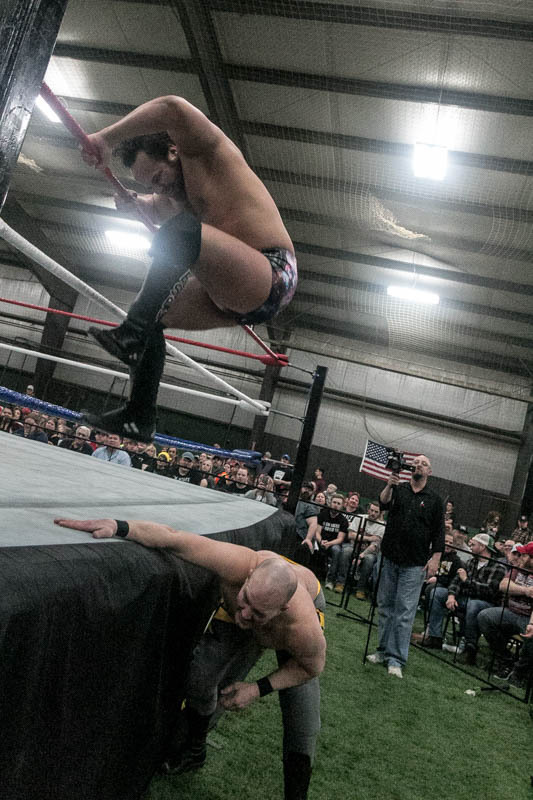 The finish came when Diamond hit a Stunner, but Waco broke up the pin for the DQ. 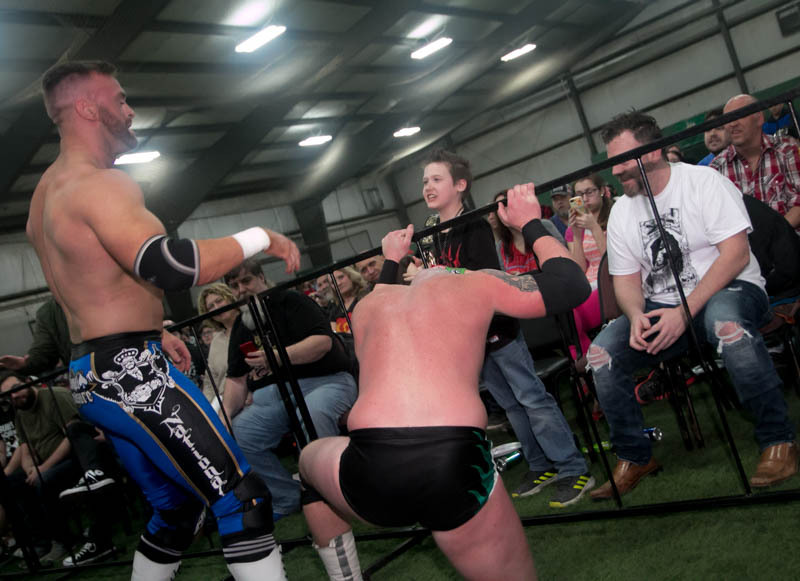 The masked team beat down Diamond until Jeremy Lightfoot hit the ring with a kendo stick and cleaned house. 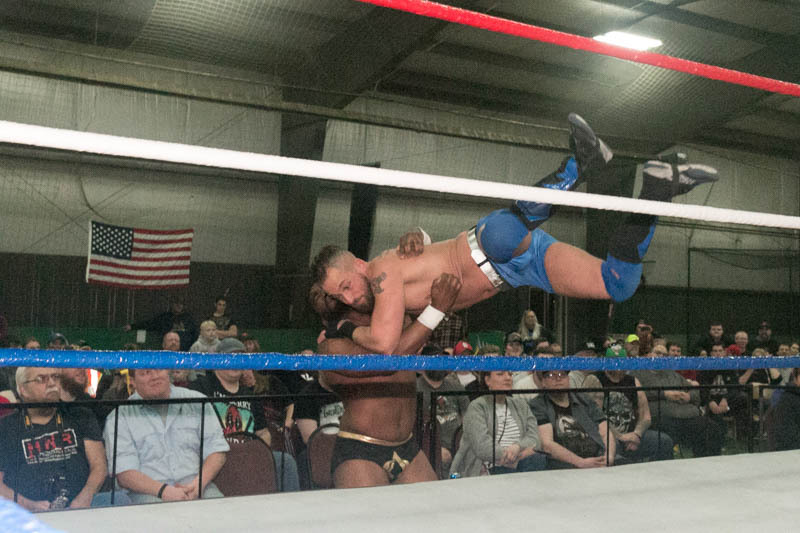 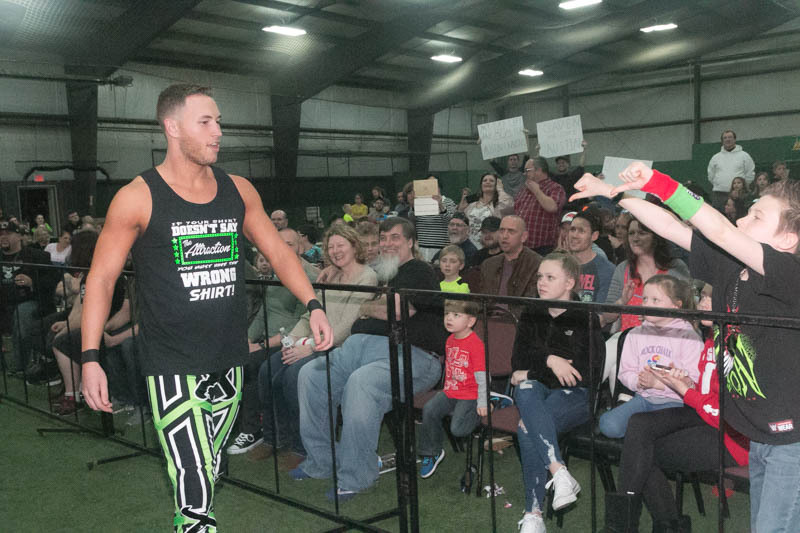 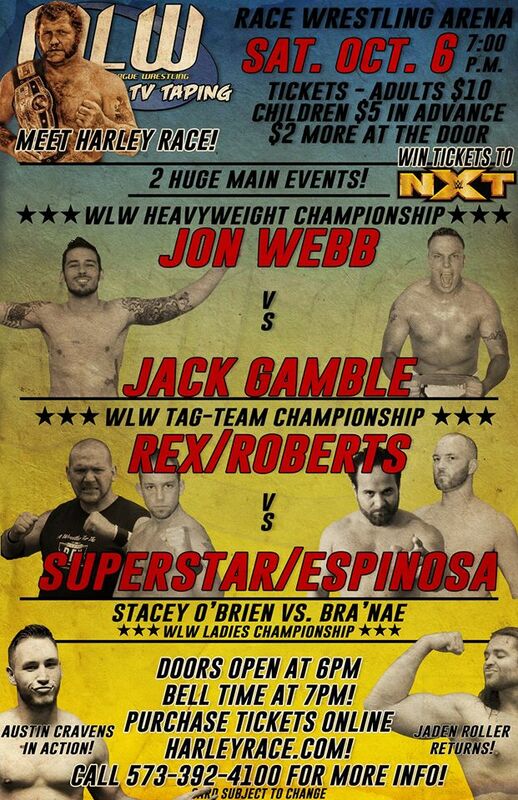 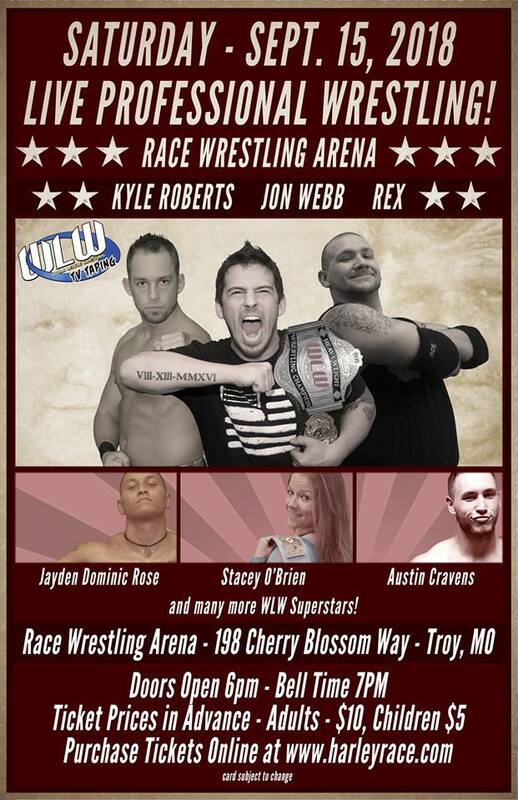 The next MMWA-SICW show will take place Feb. 14 at the South Broadway Athletic Club in St. Louis, MO followed up the next weekend returning to the East Carondelet Community Center.